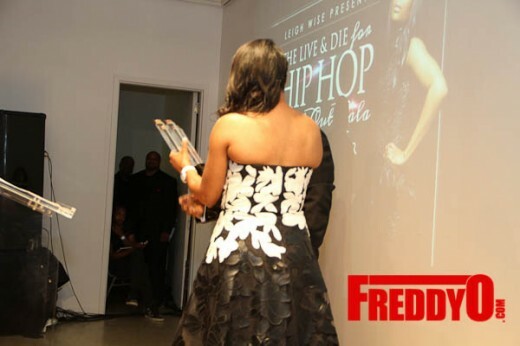 Last night was a HUGE night in the Hip-Hop World! 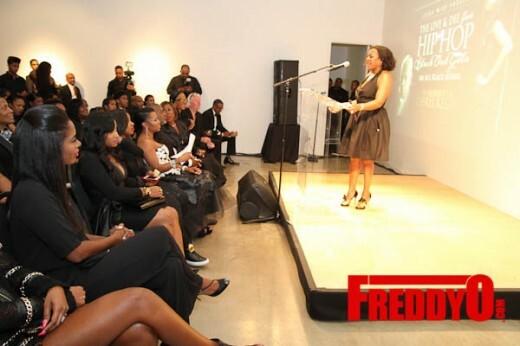 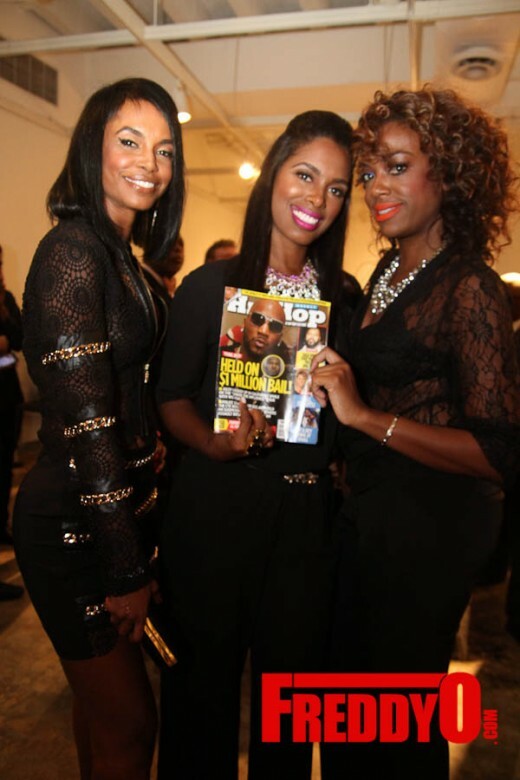 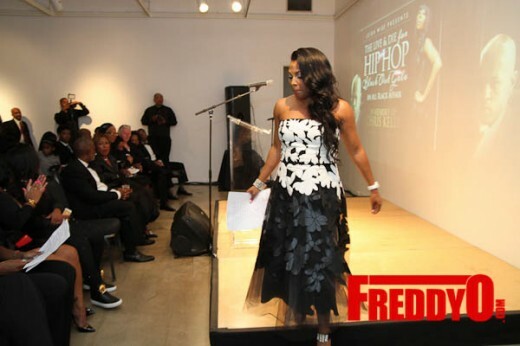 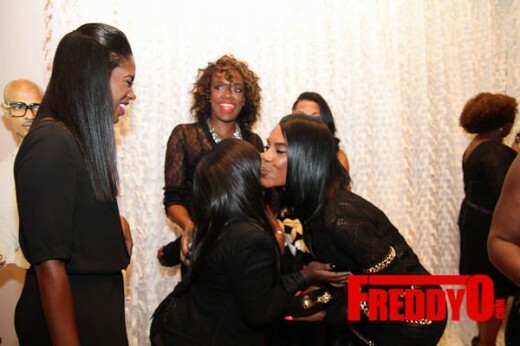 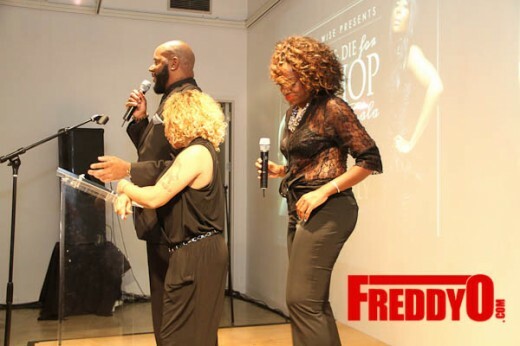 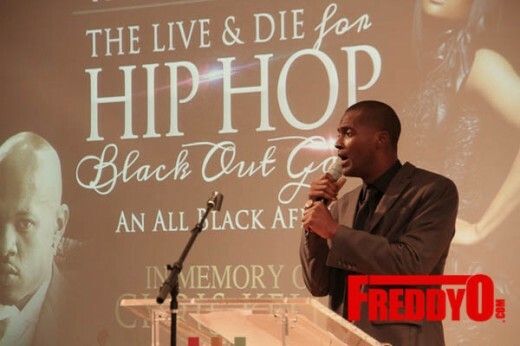 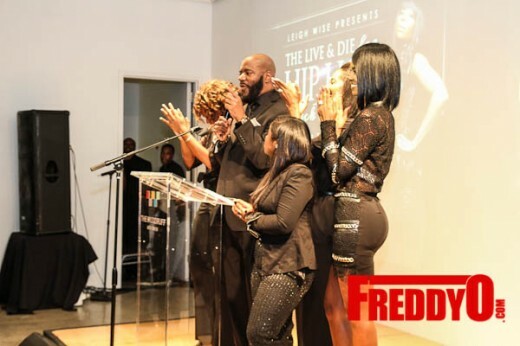 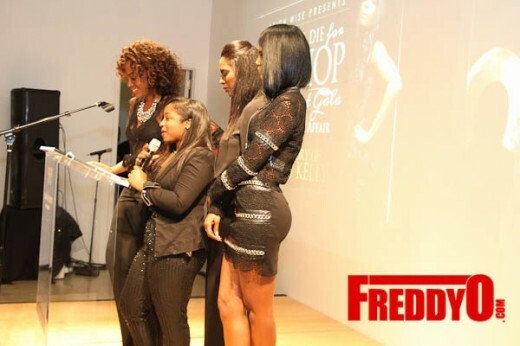 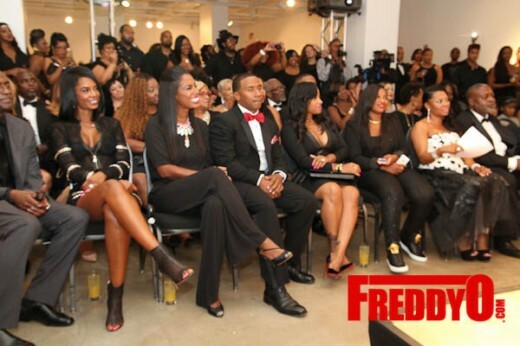 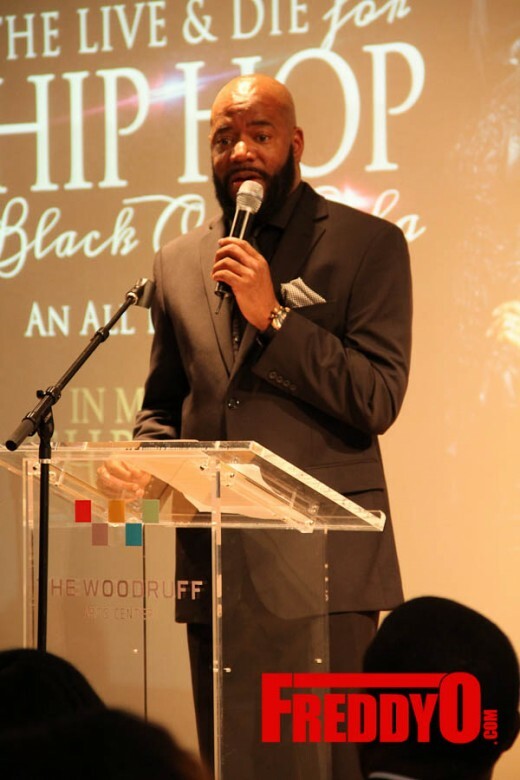 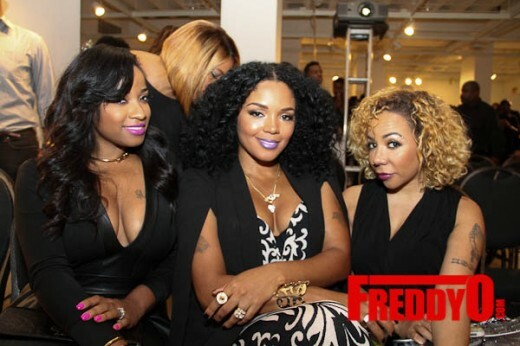 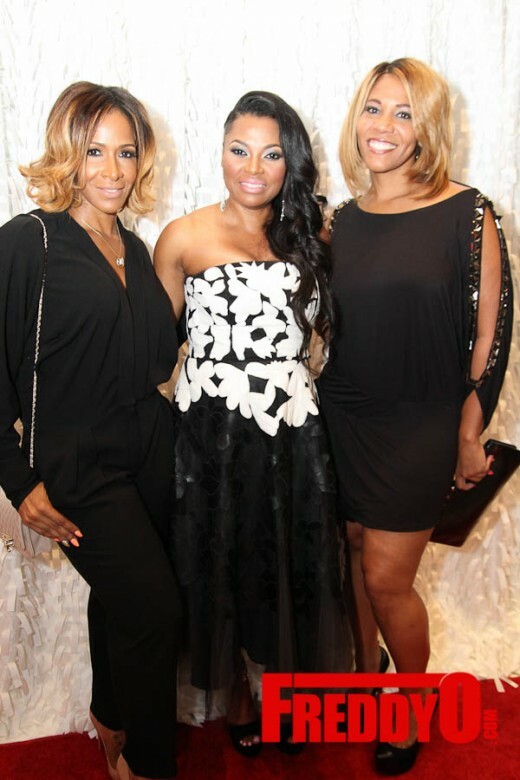 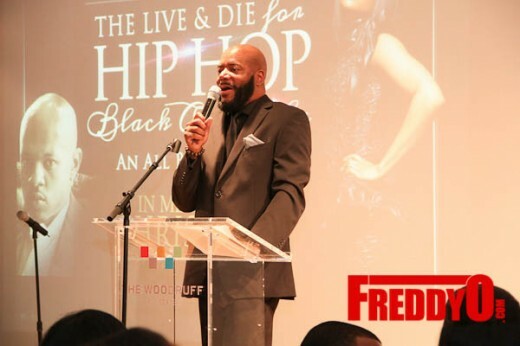 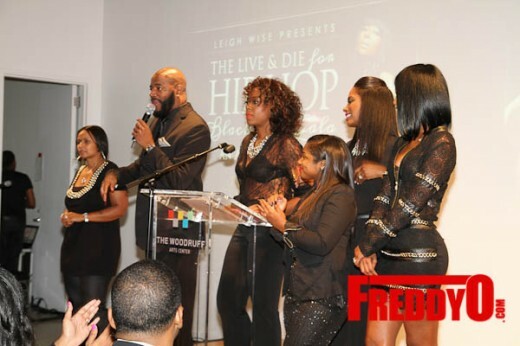 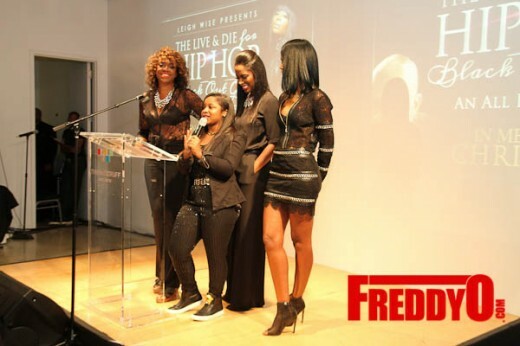 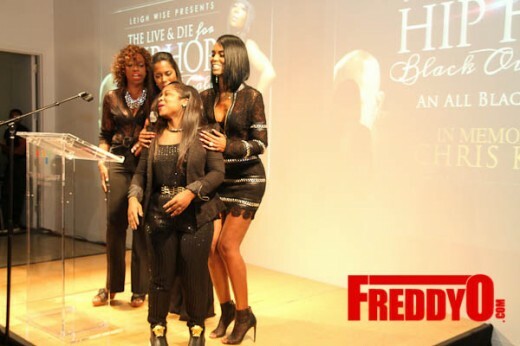 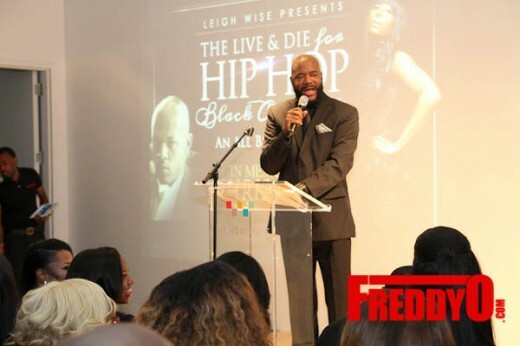 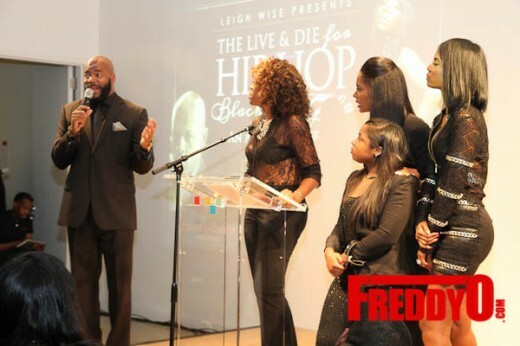 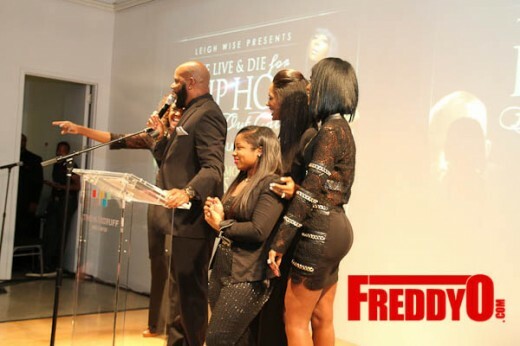 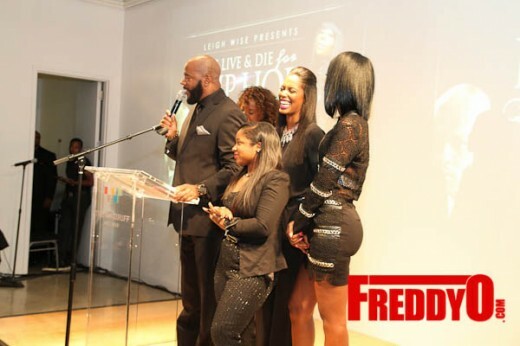 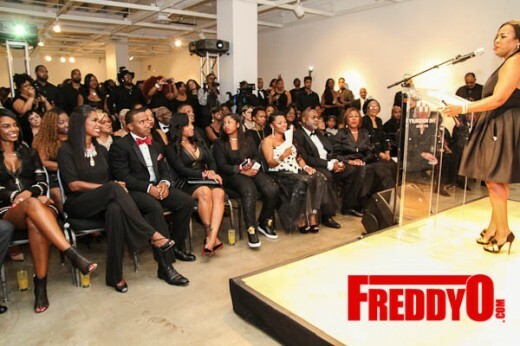 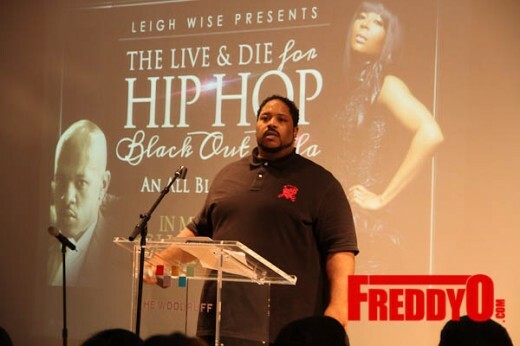 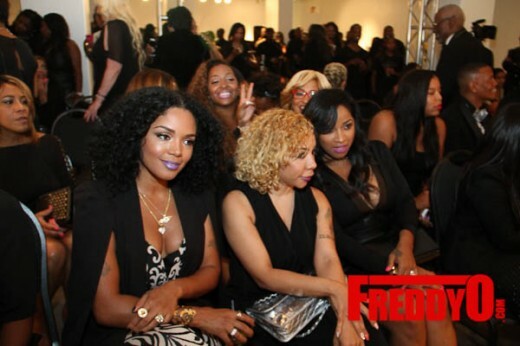 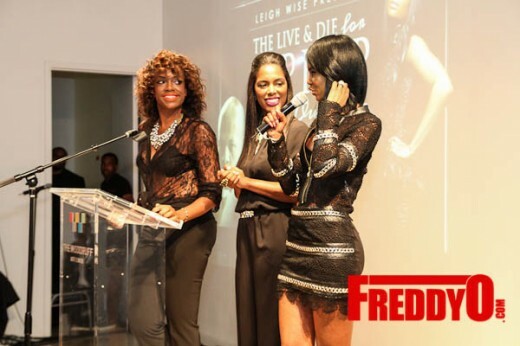 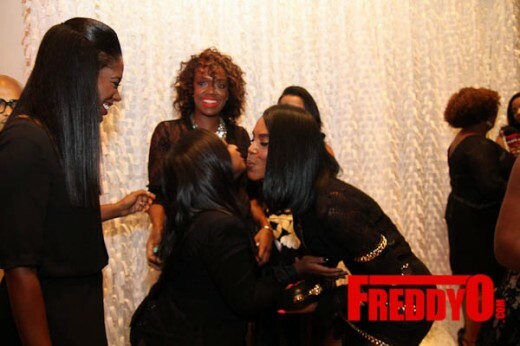 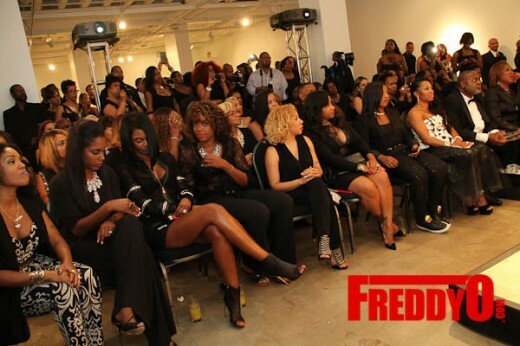 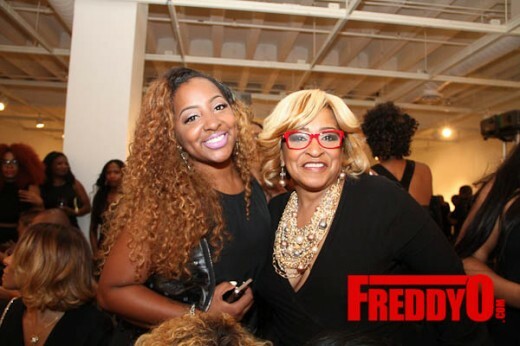 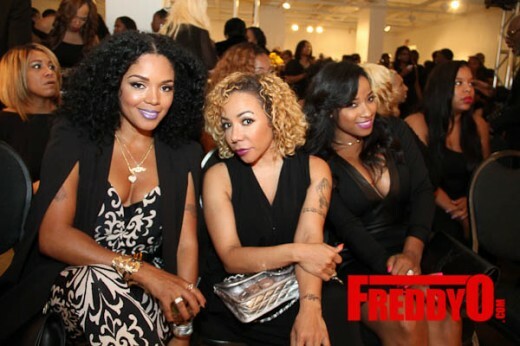 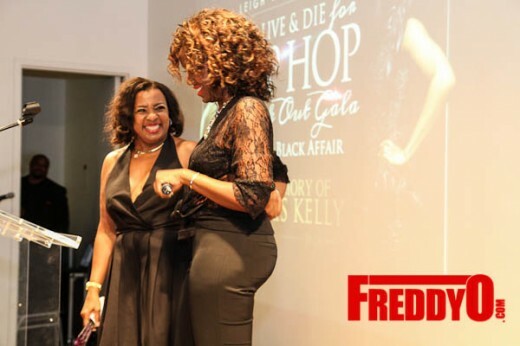 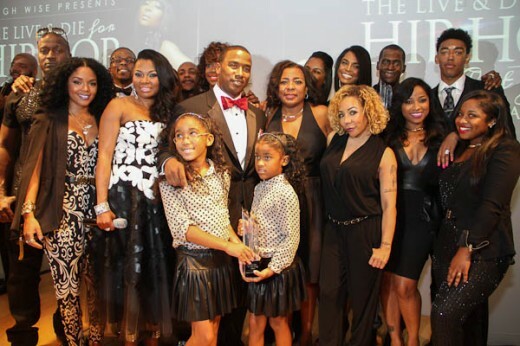 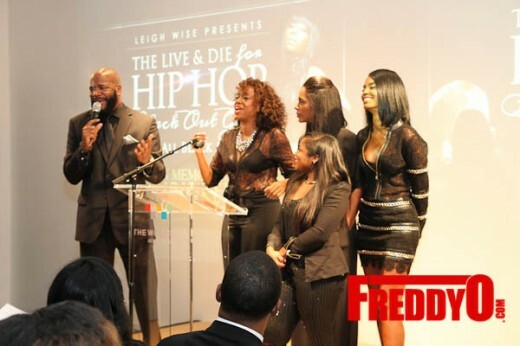 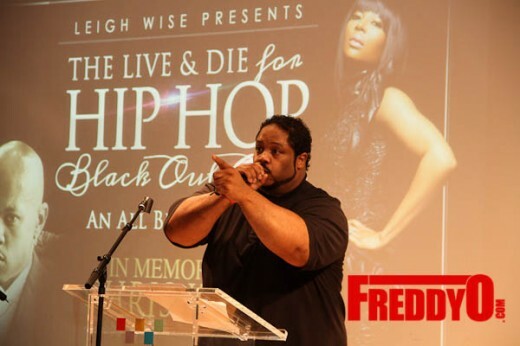 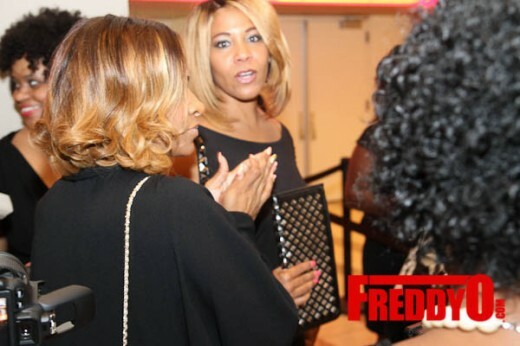 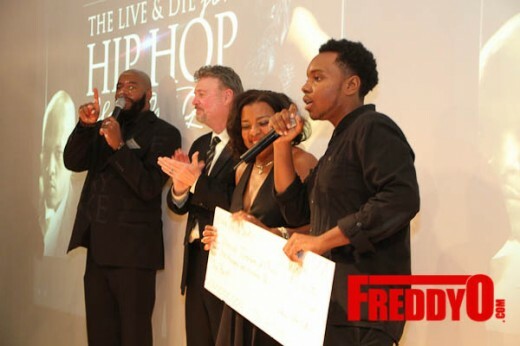 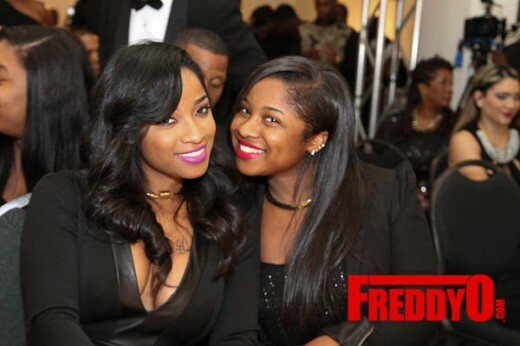 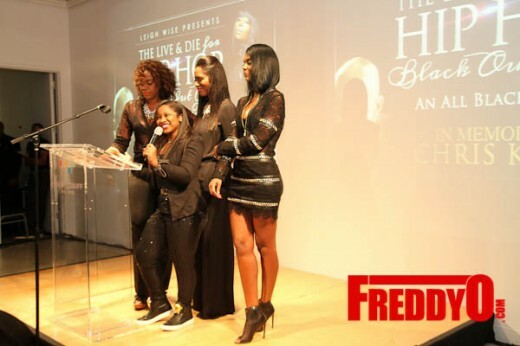 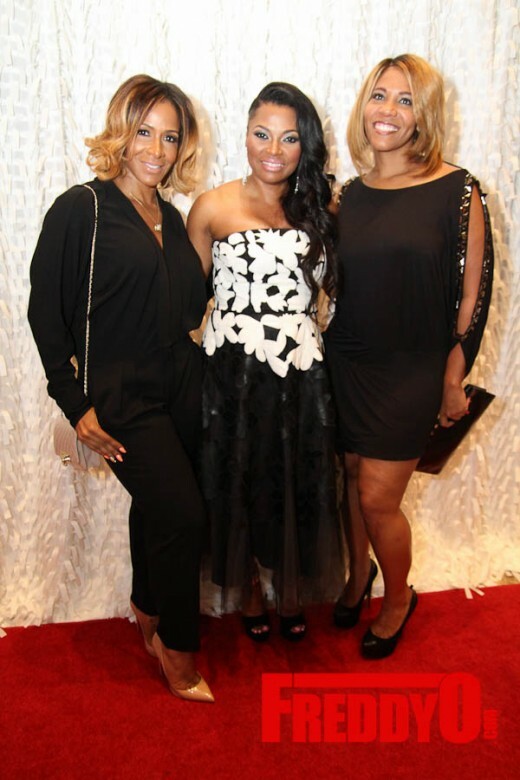 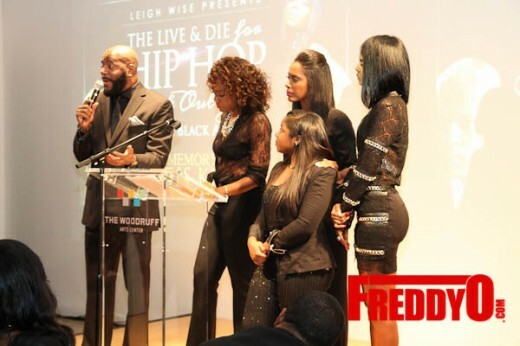 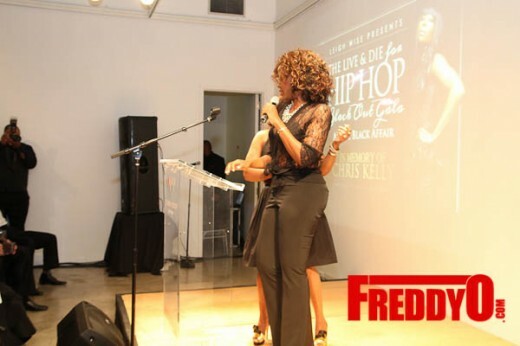 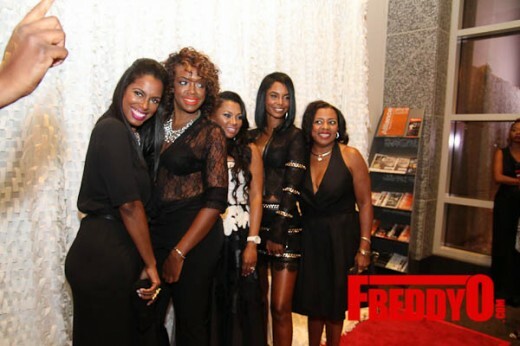 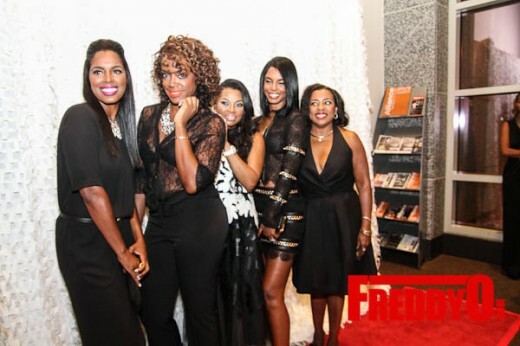 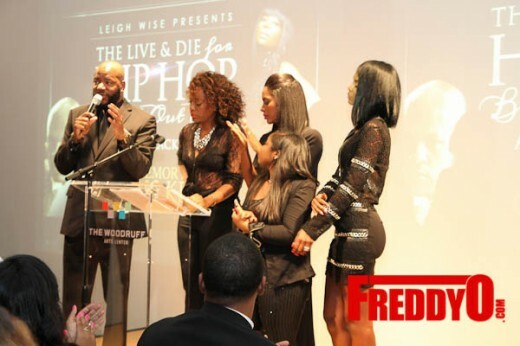 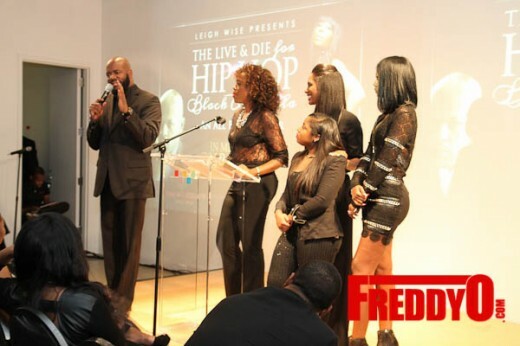 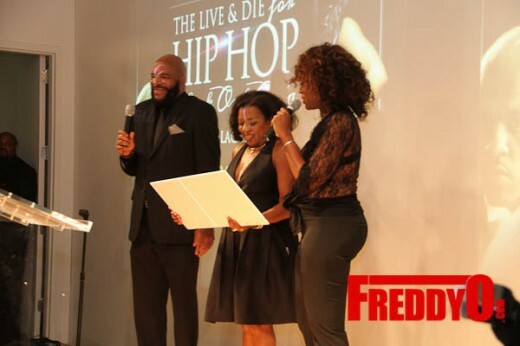 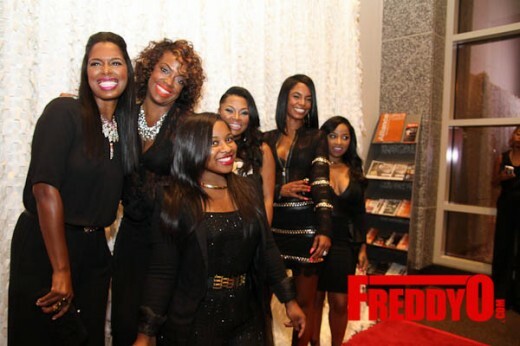 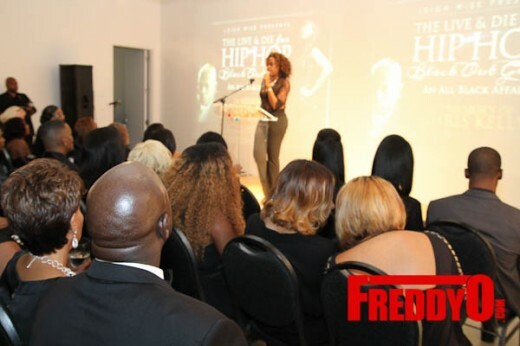 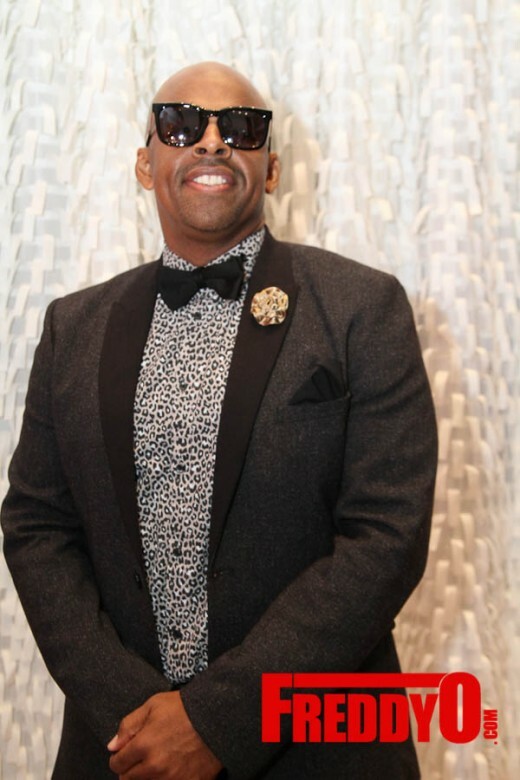 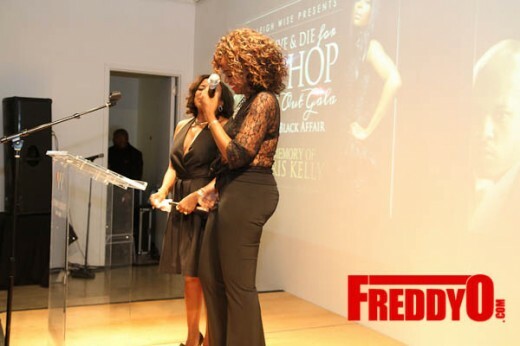 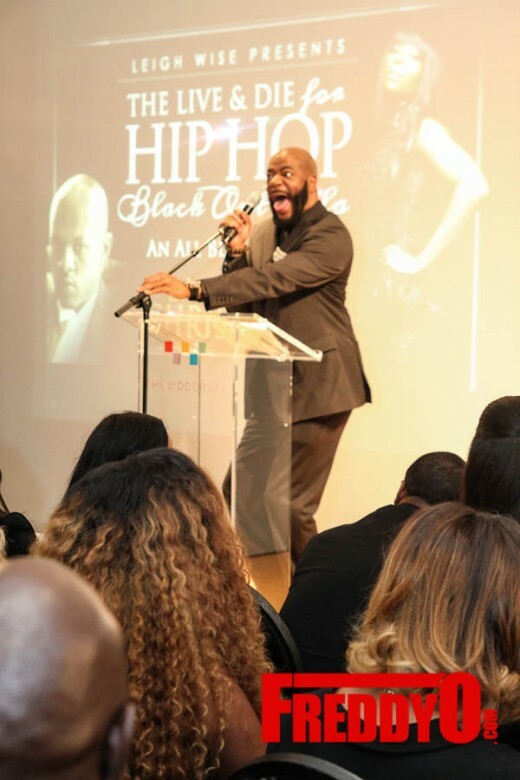 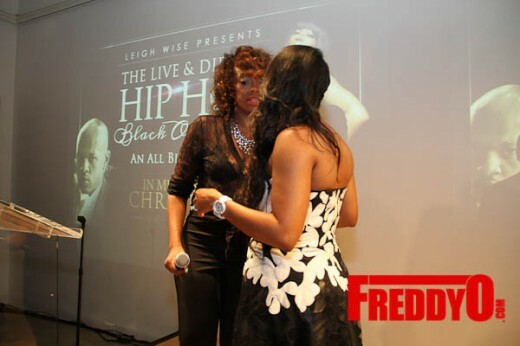 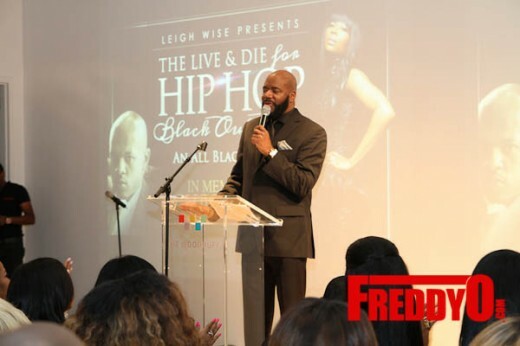 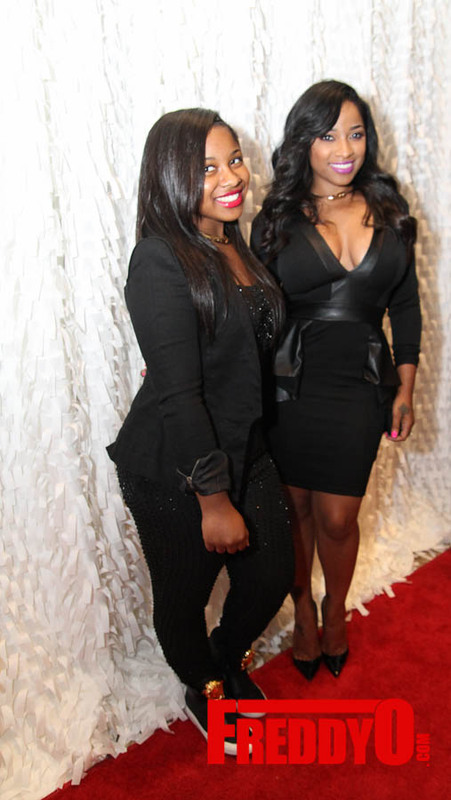 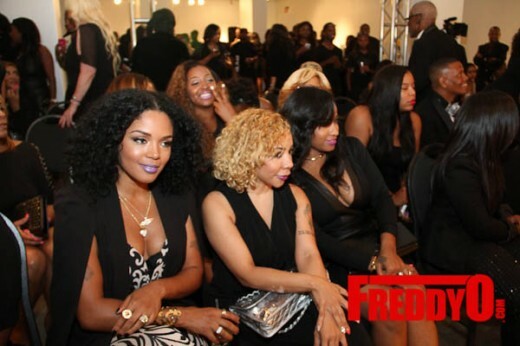 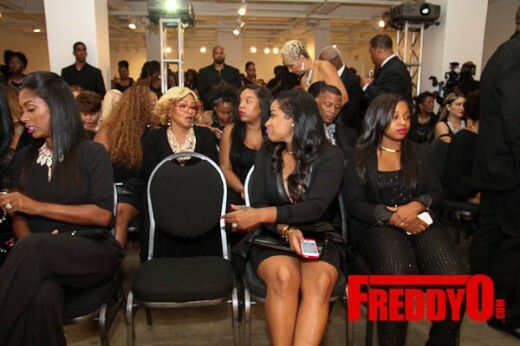 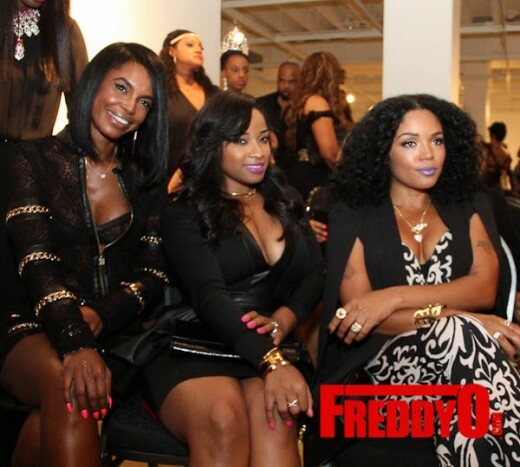 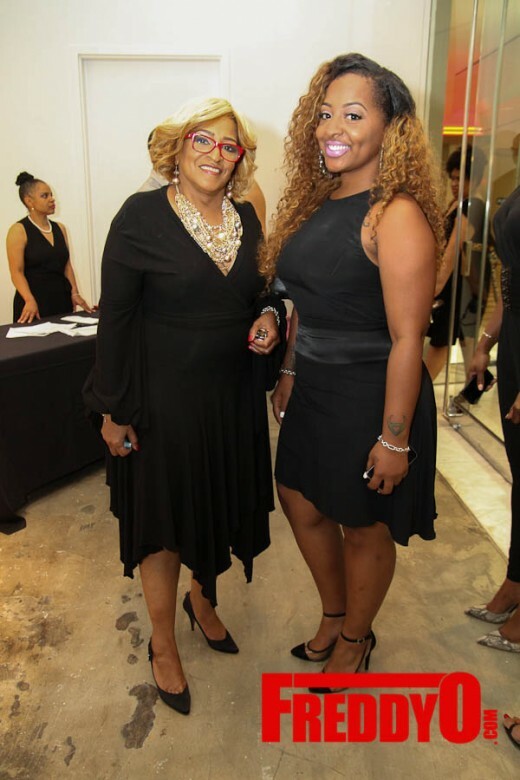 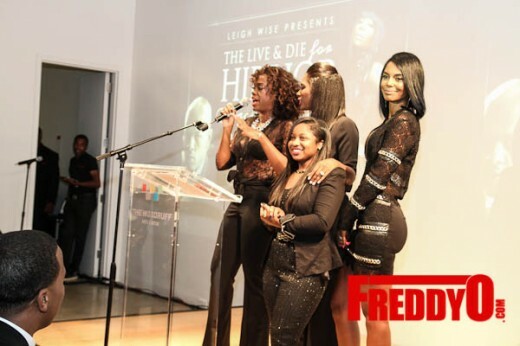 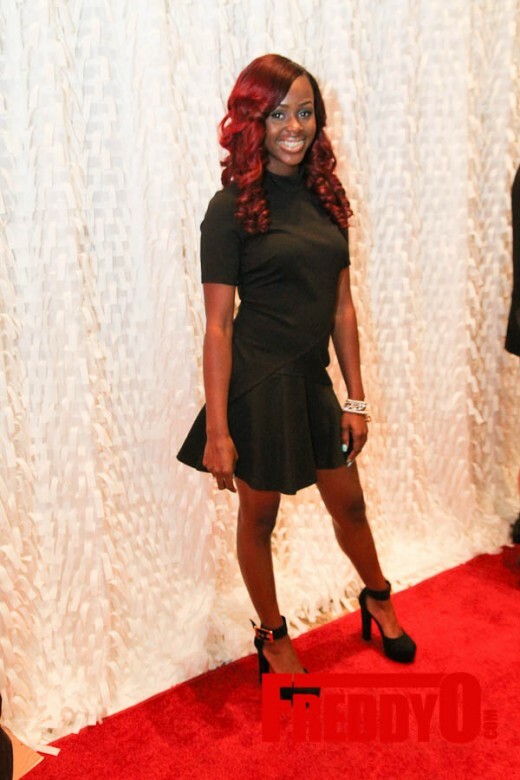 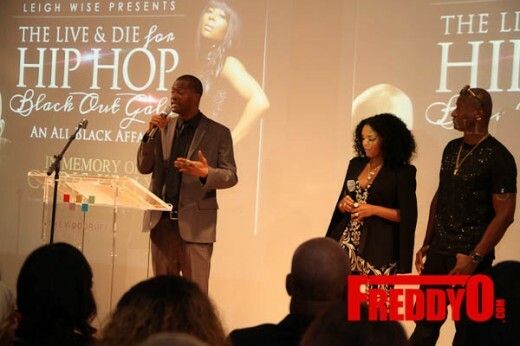 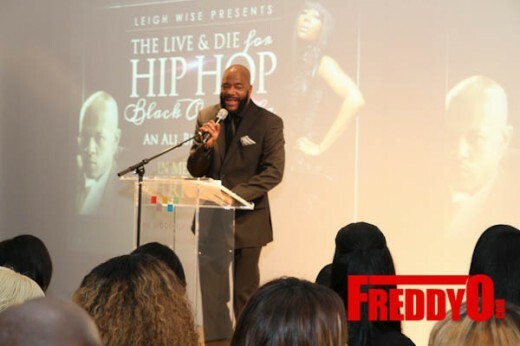 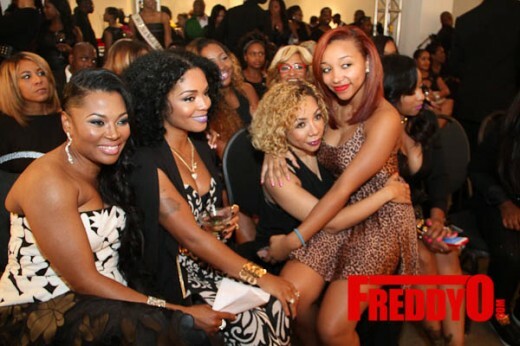 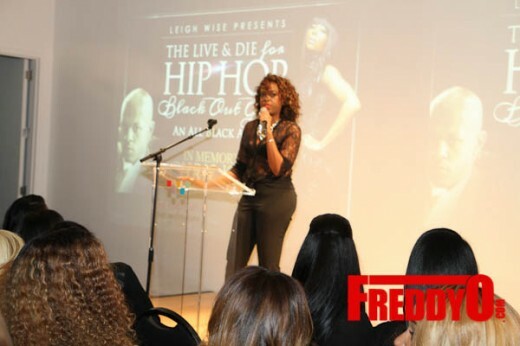 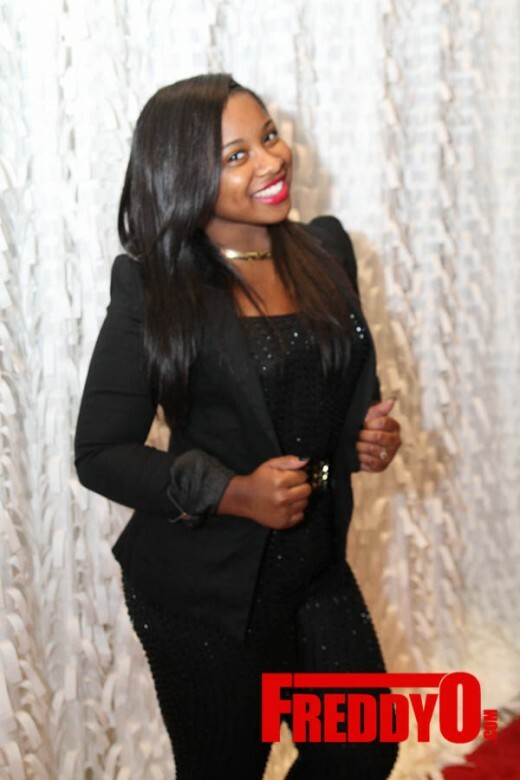 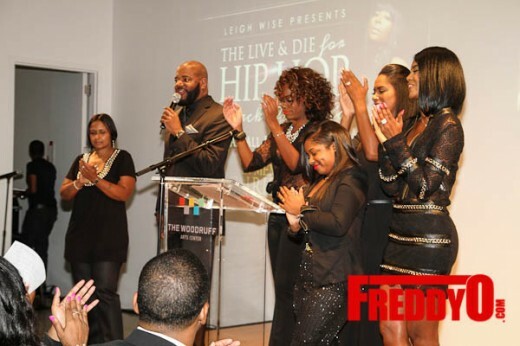 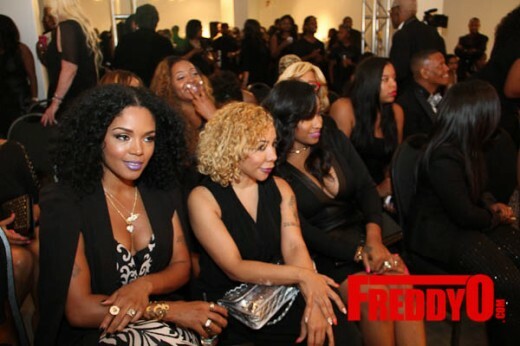 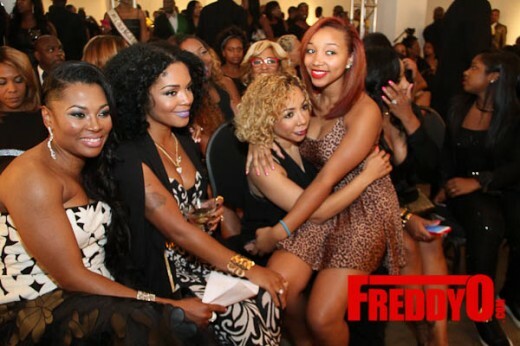 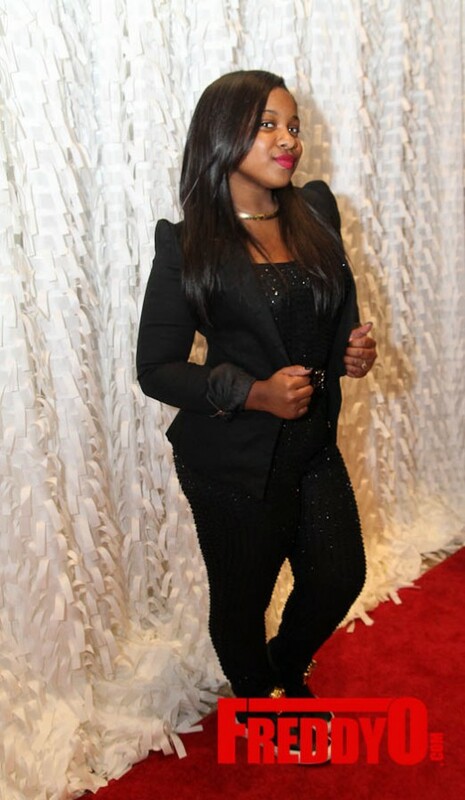 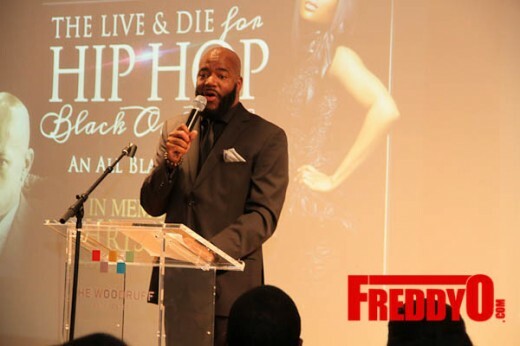 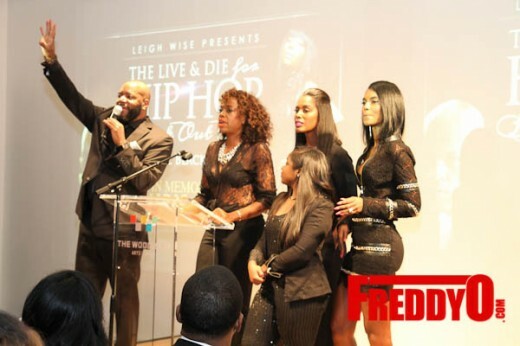 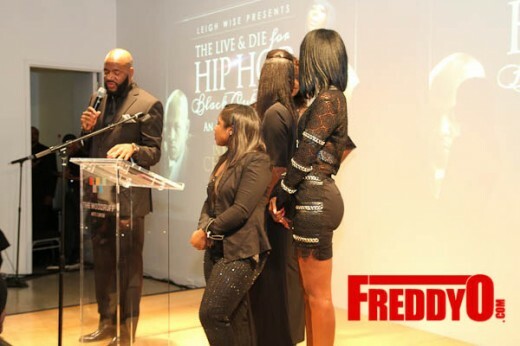 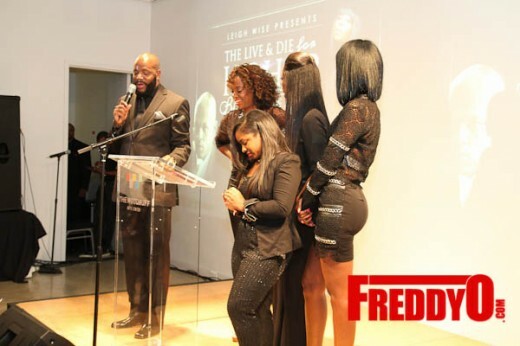 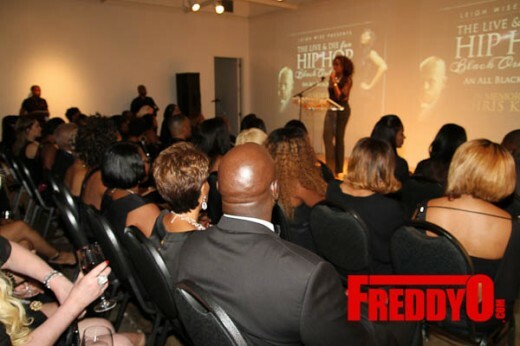 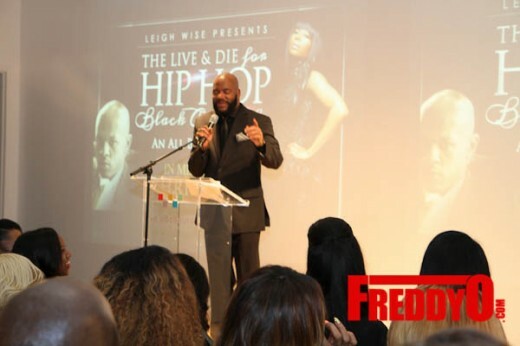 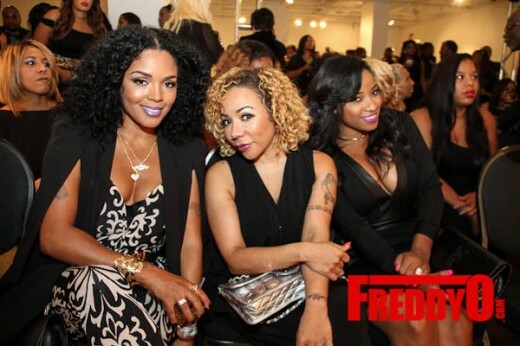 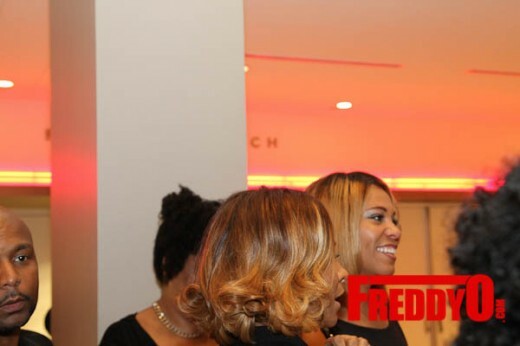 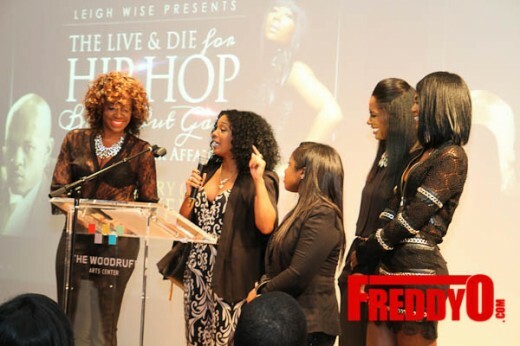 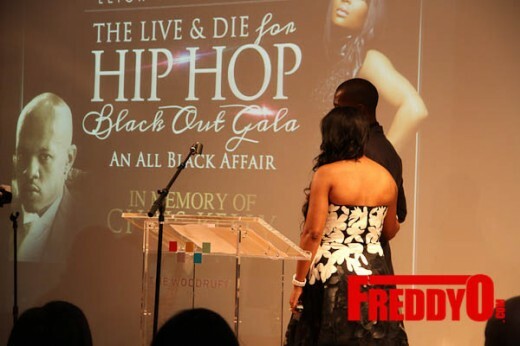 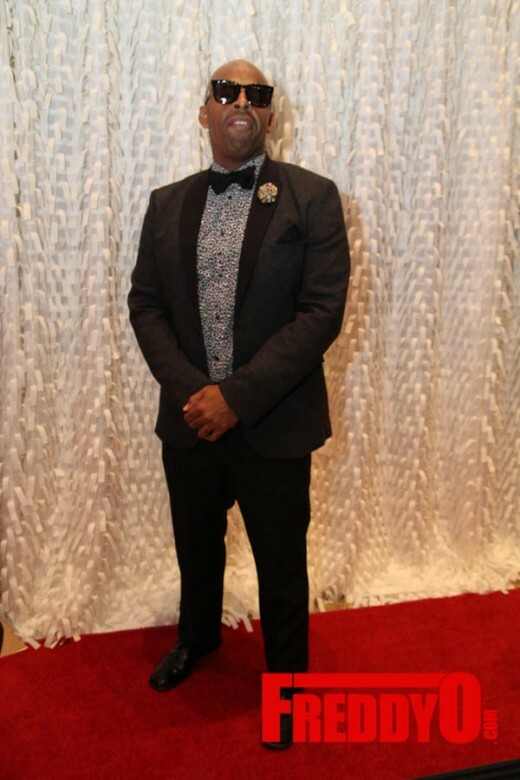 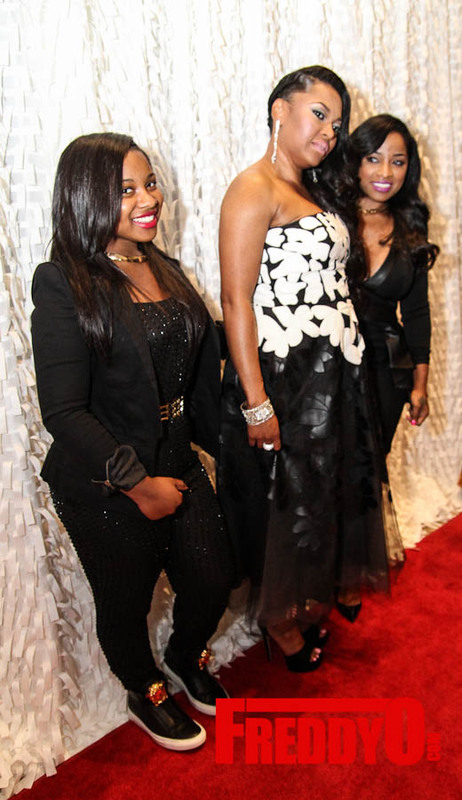 So many celebrities, socialites, and friends gathered for the Live and Die for Hip-Hop Black Out Gala hosted by Ed Lover, The Three Brown Girls, and Reginae Carter! 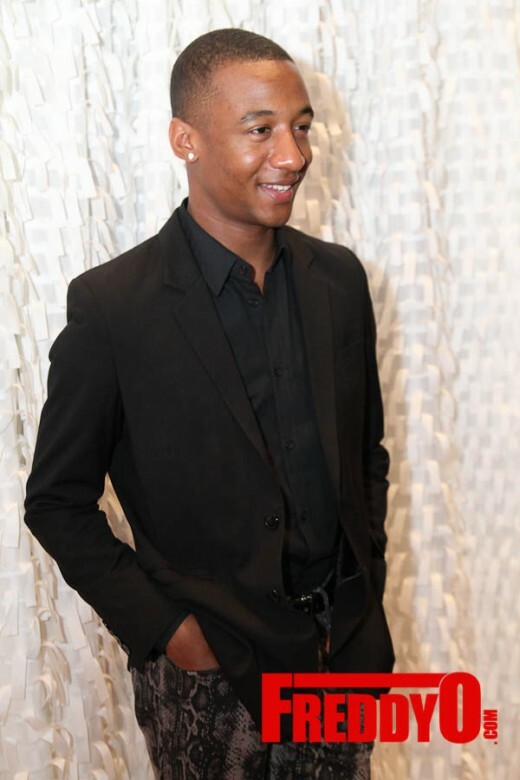 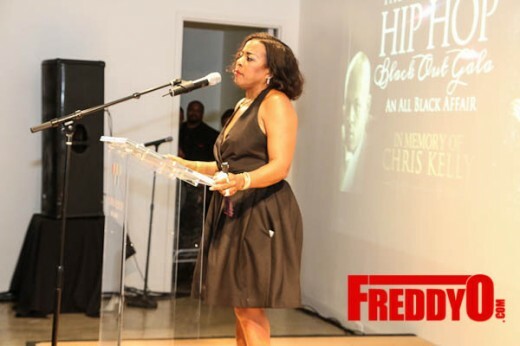 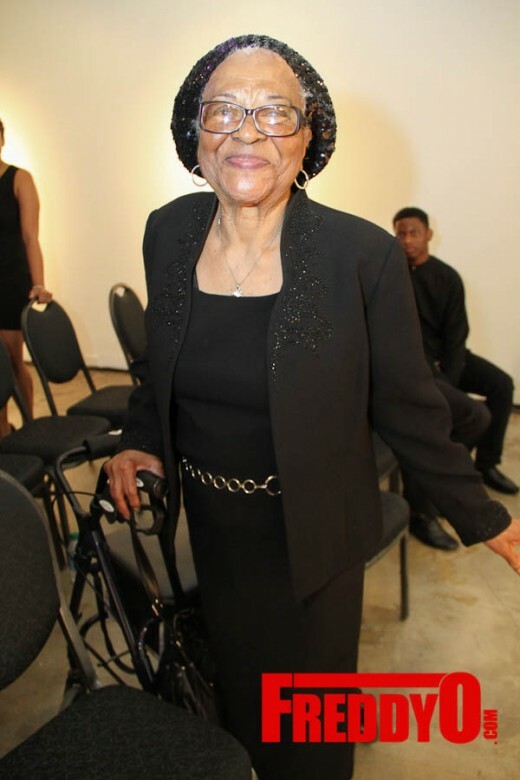 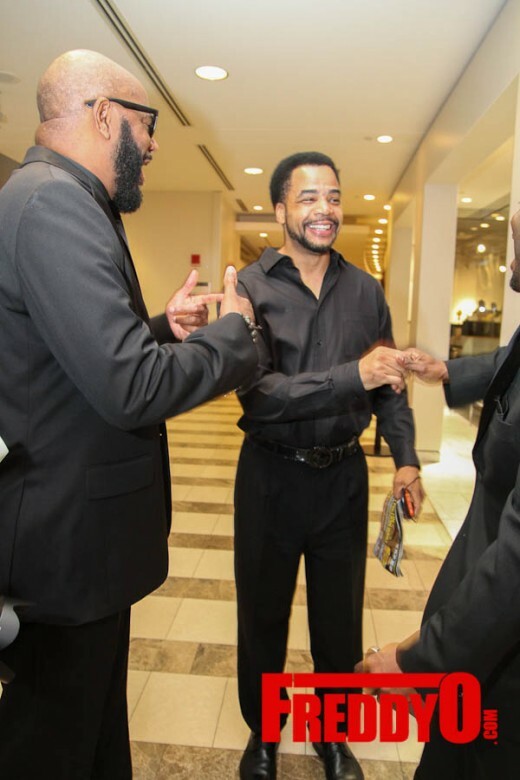 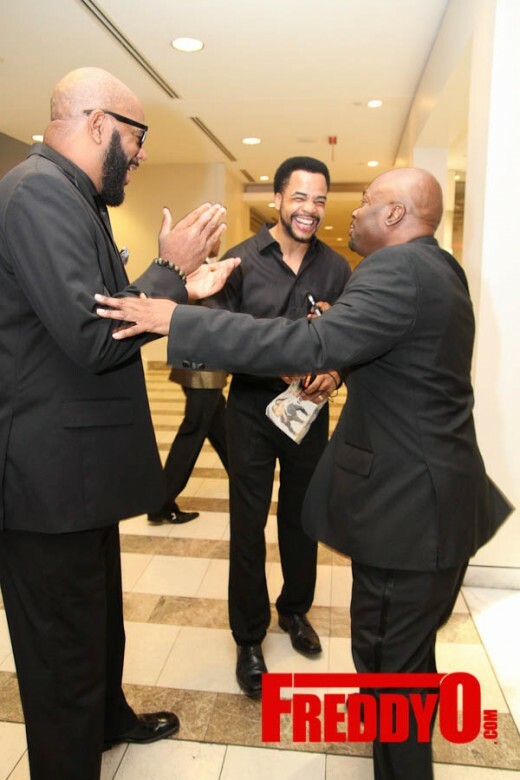 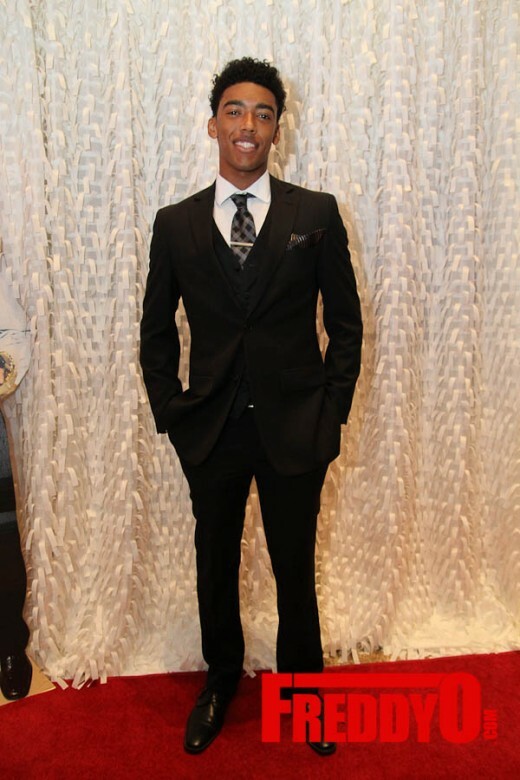 The event was to celebrate the life of Chris Kelly and raise money for his alma mater Atlanta Institute of Music and Media. 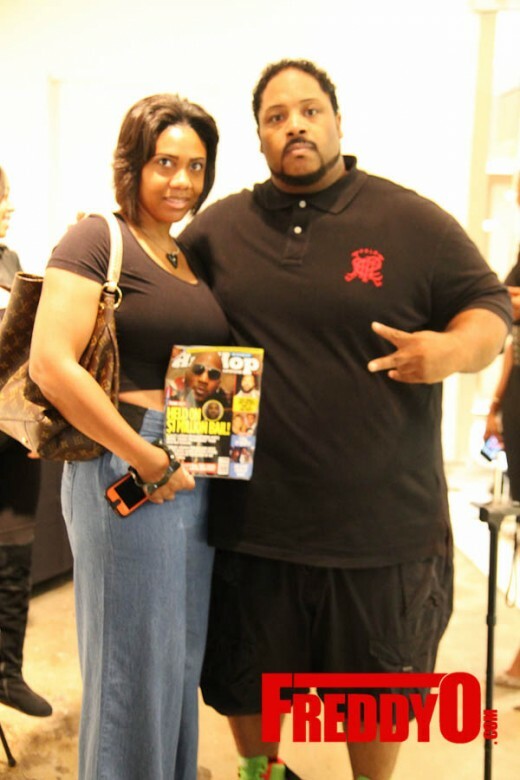 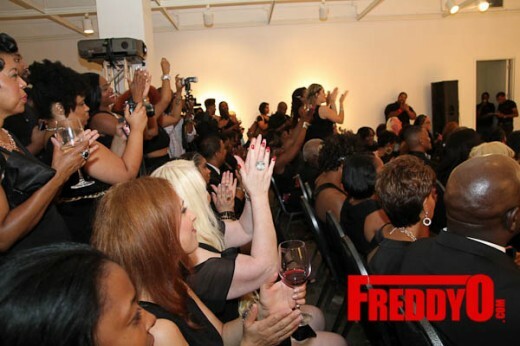 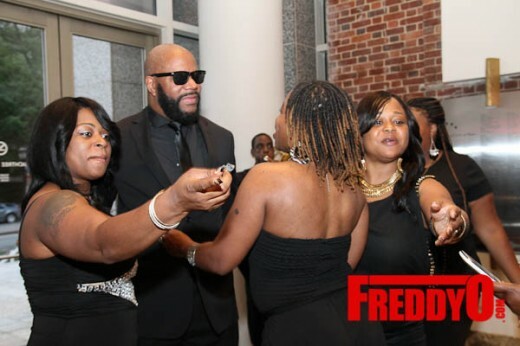 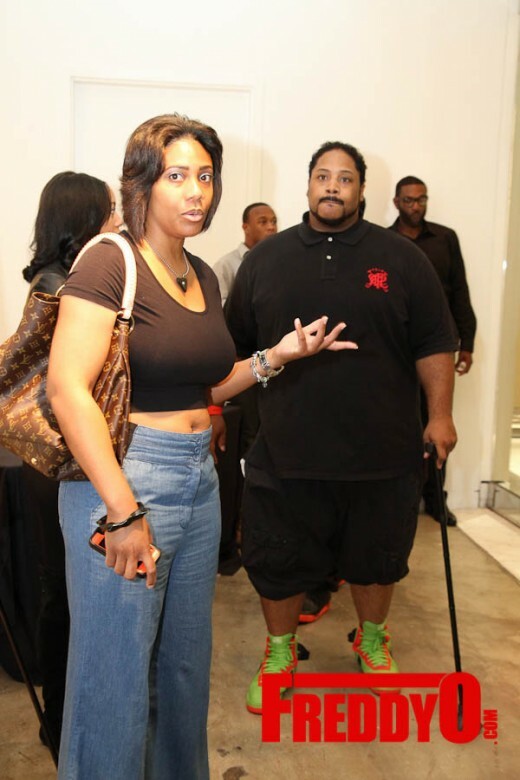 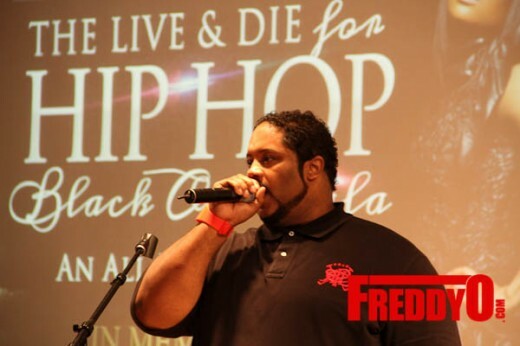 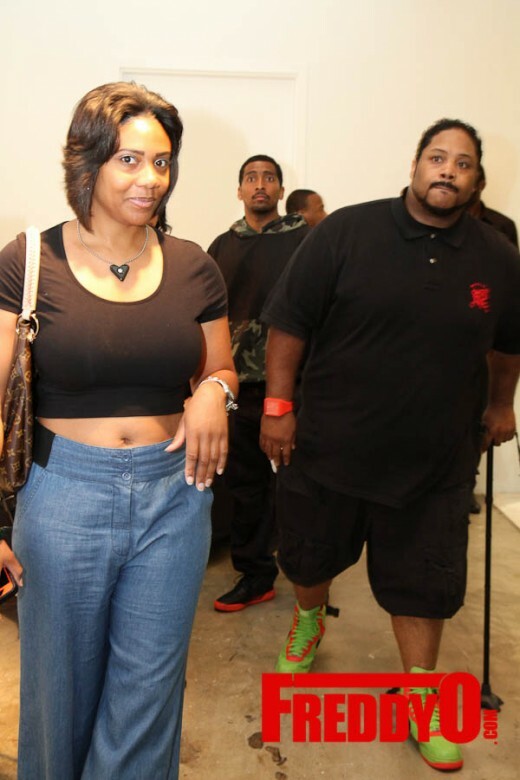 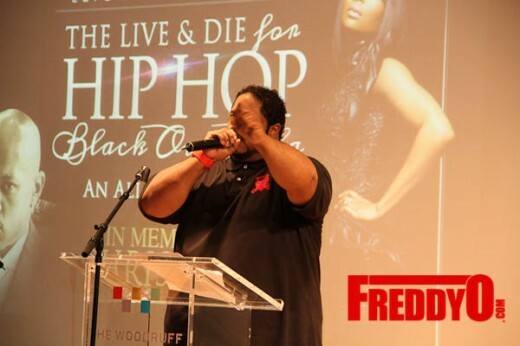 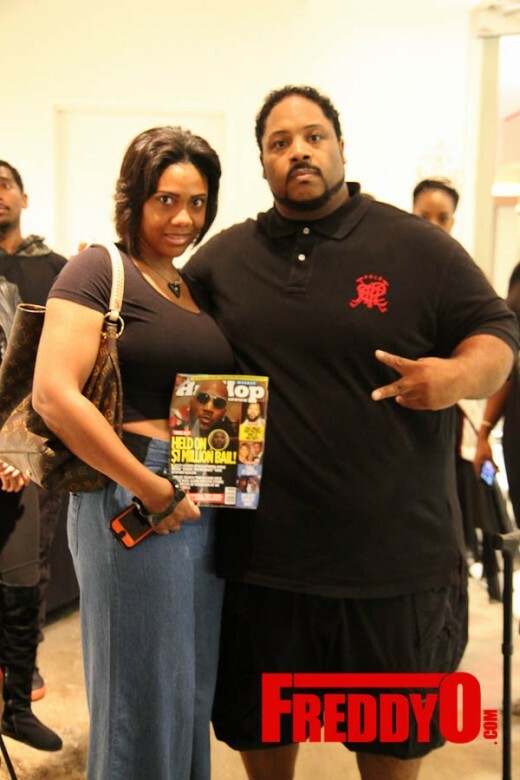 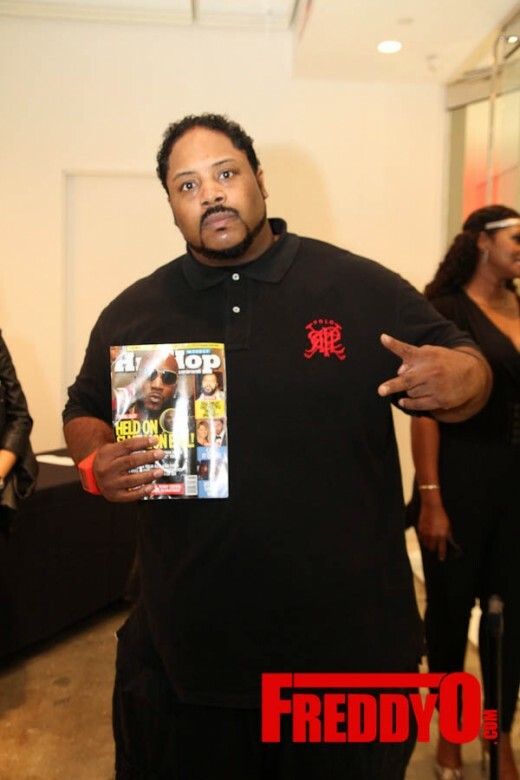 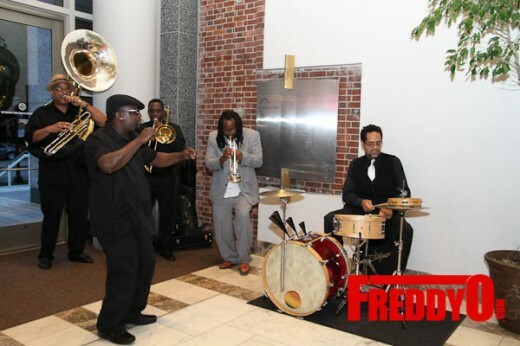 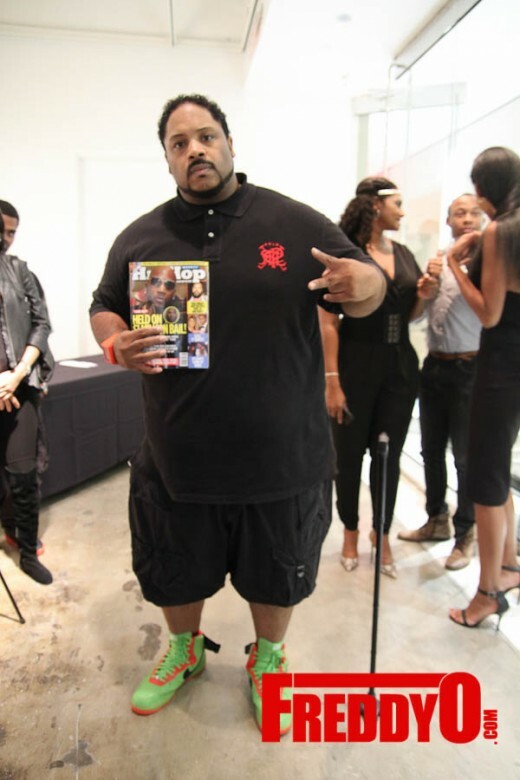 Check out Bonecrusher’s performance at the Black Out Gala! 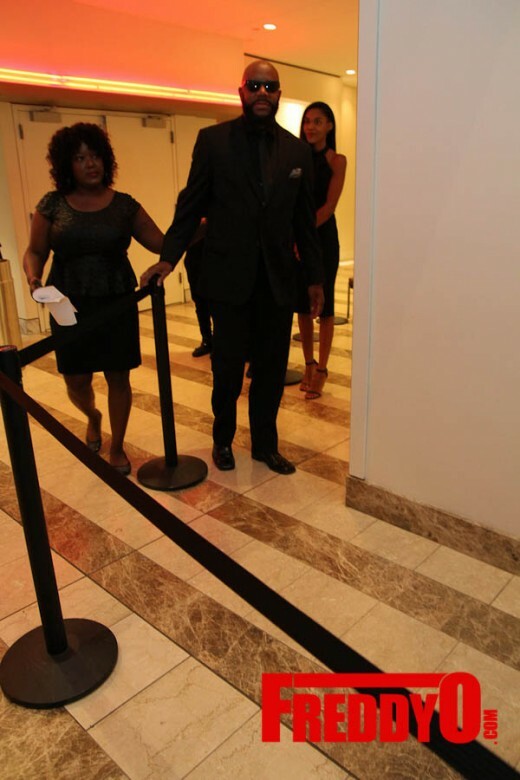 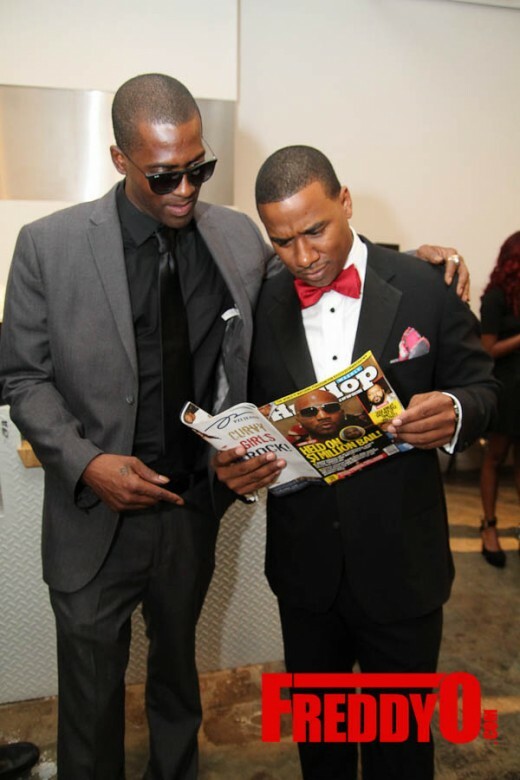 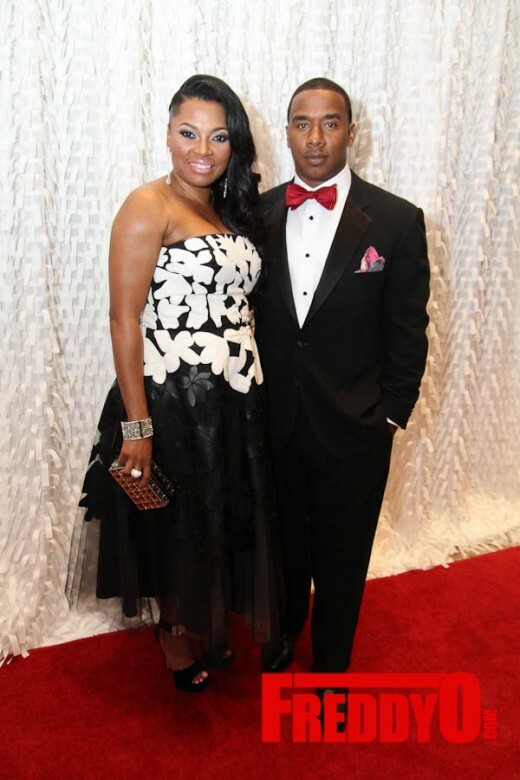 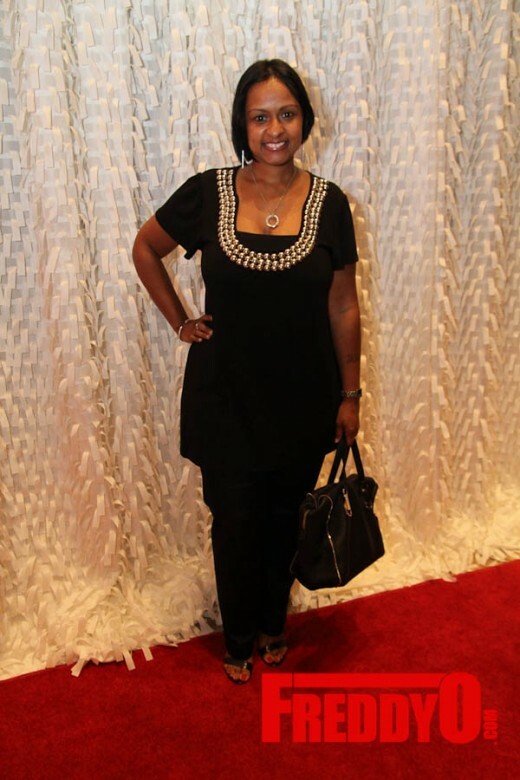 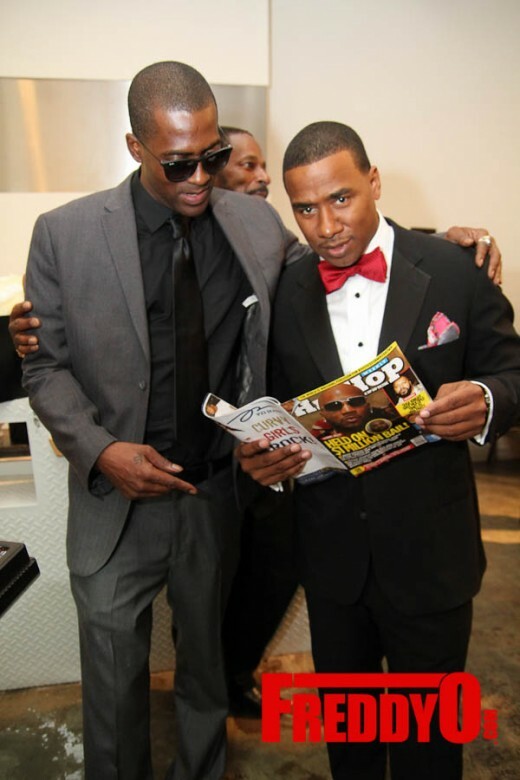 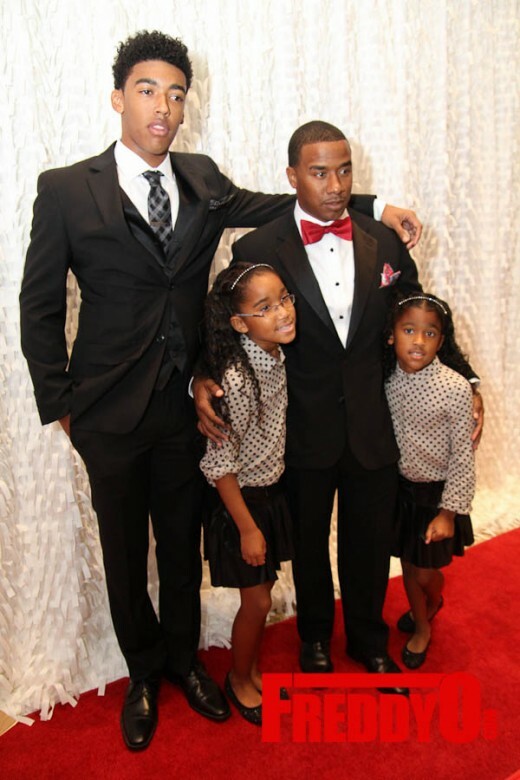 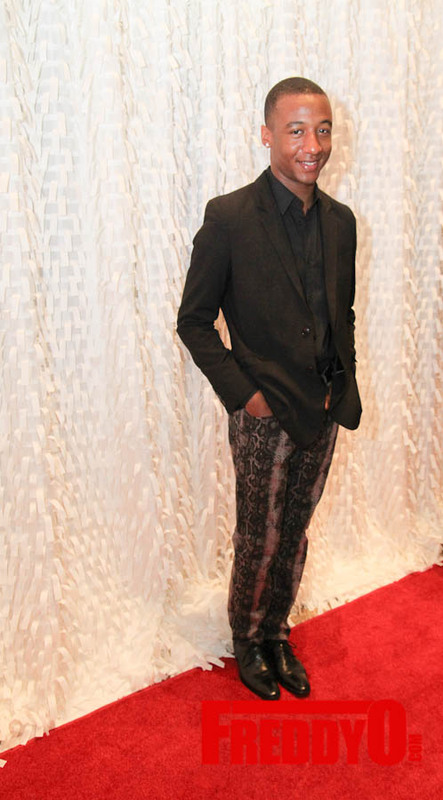 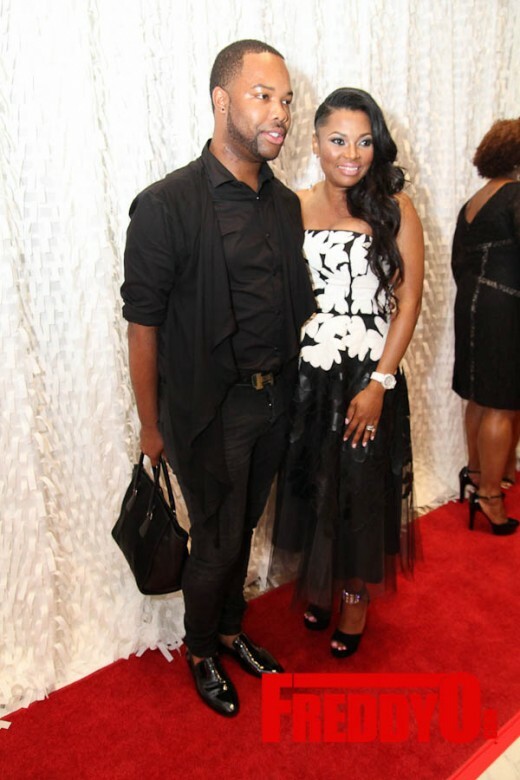 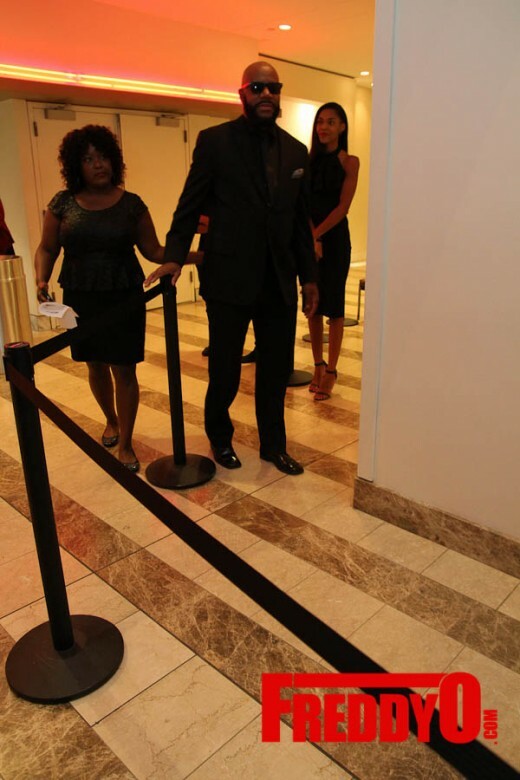 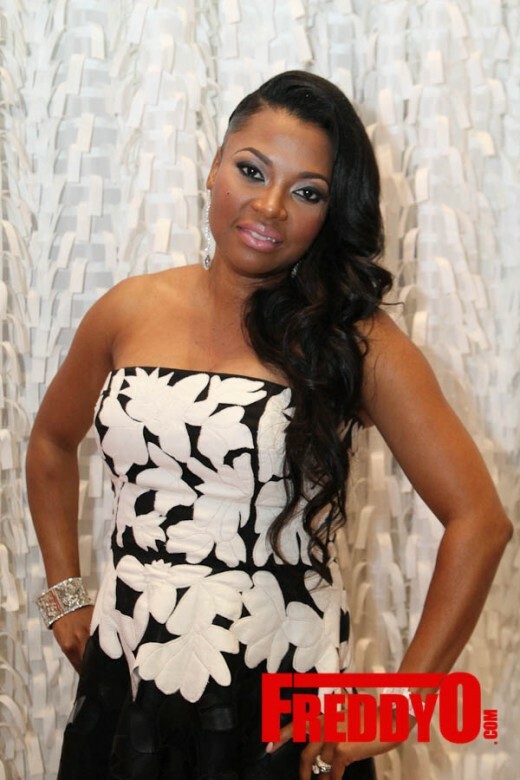 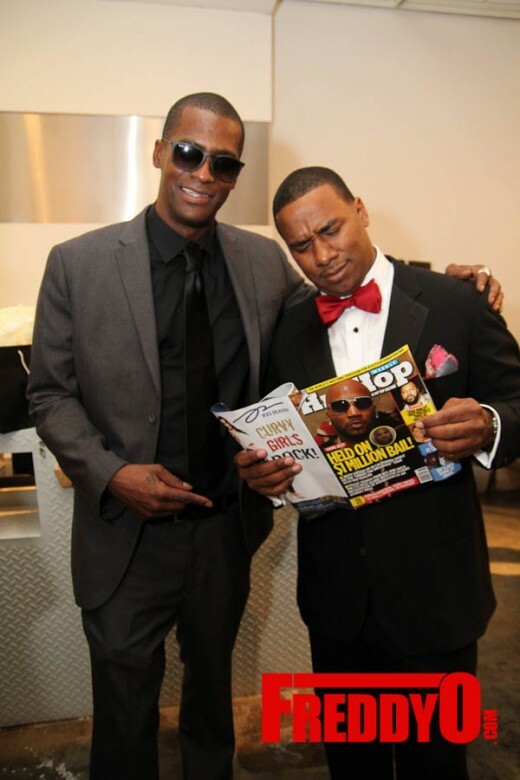 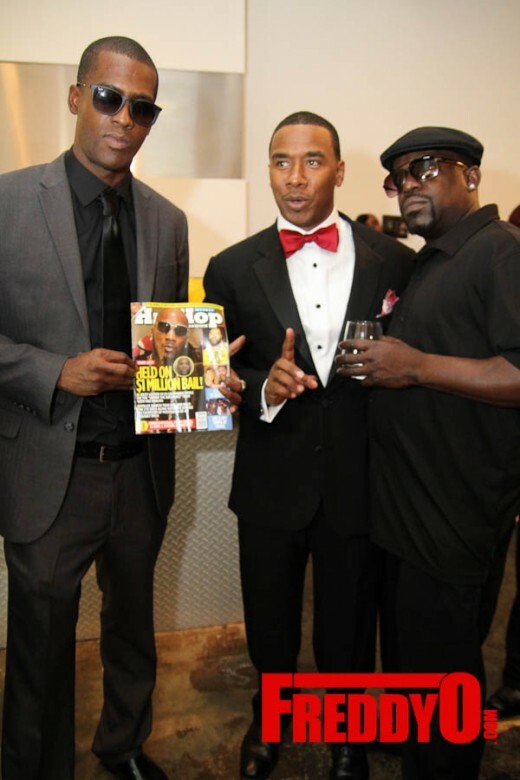 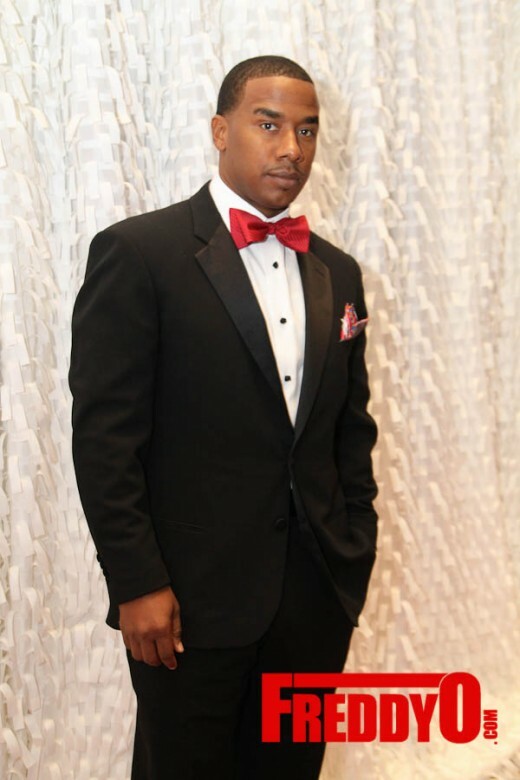 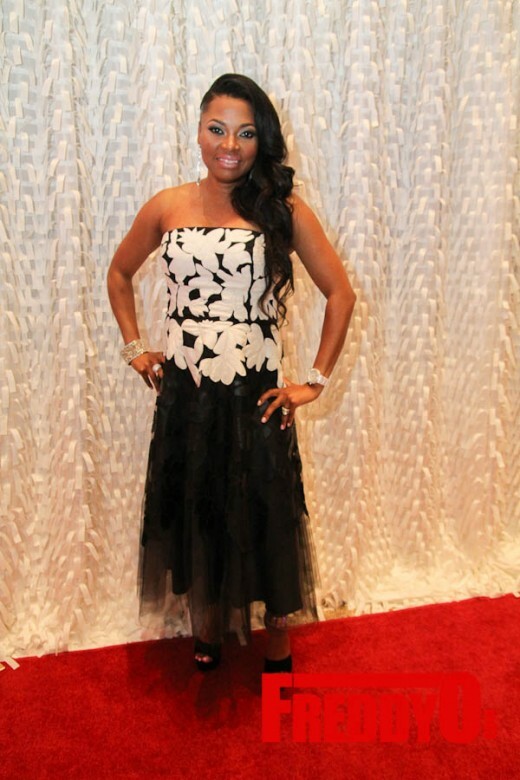 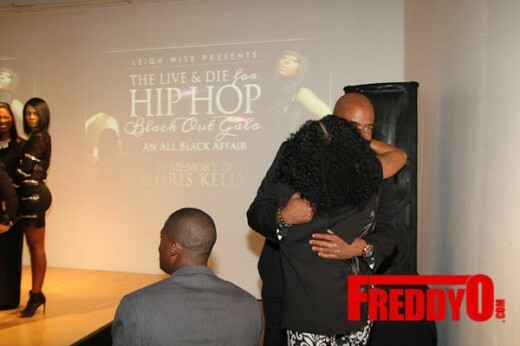 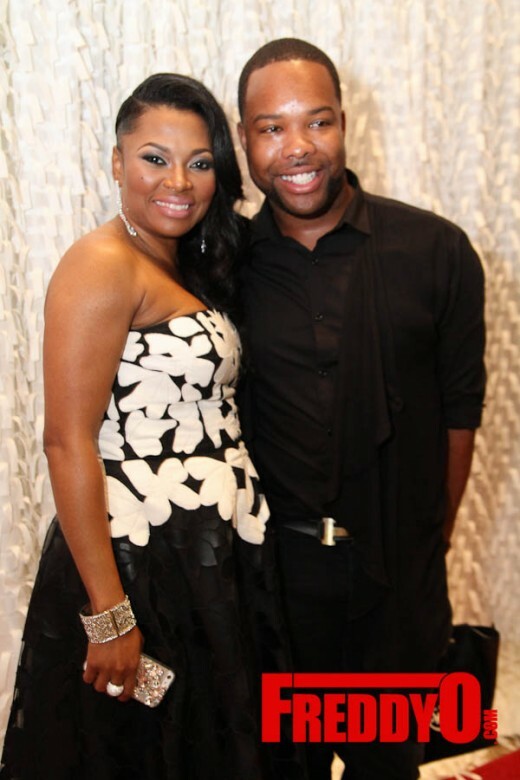 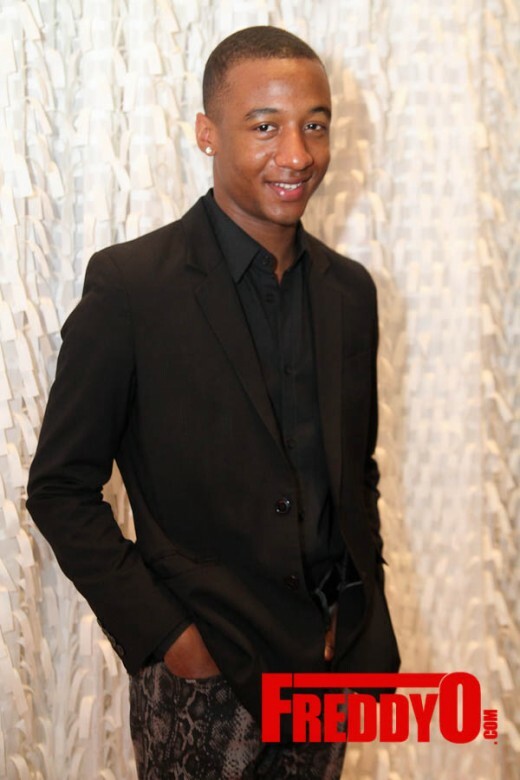 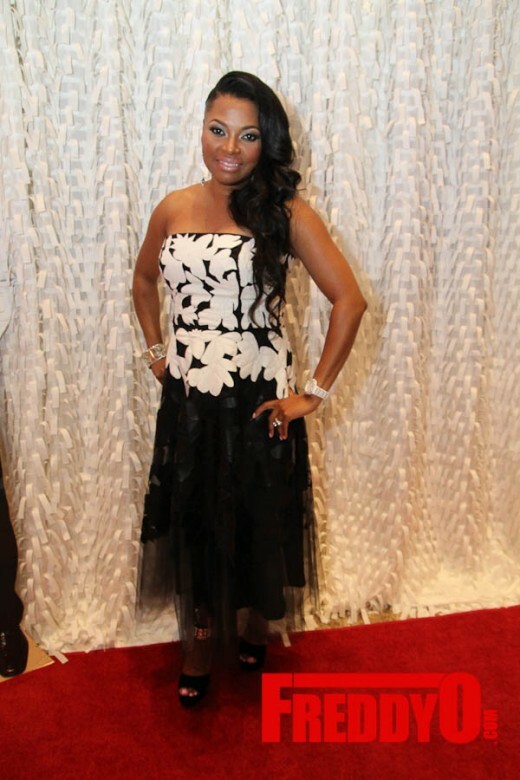 Last night Atlanta celebrities, socialites and friends gathered for a night of epic philanthropy as entrepreneur LaToya “Leigh” Wise presented the Live and Die for Hip Hop Black Out Gala to commemorate the life and legacy of late multi-platinum music artist Chris Kelly, half of the rap duo Kriss Kross, the Woodruff Arts Center. 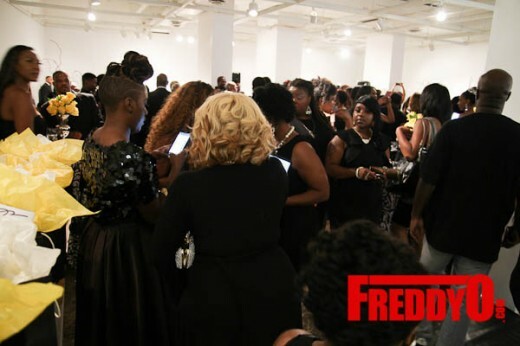 Atlanta’s own DJ Nabs had the party jumping with classic Atlanta music that made you want to tap your feet. 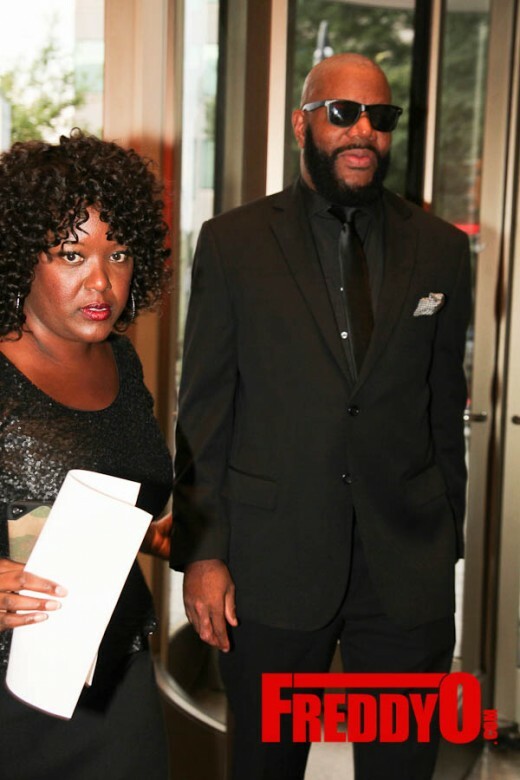 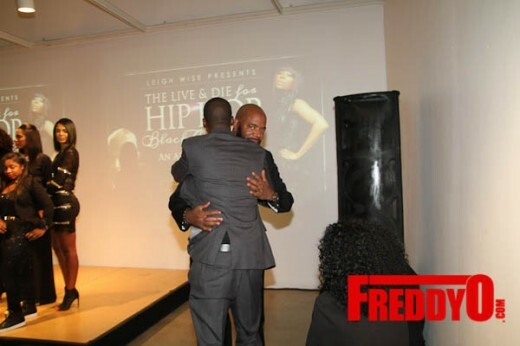 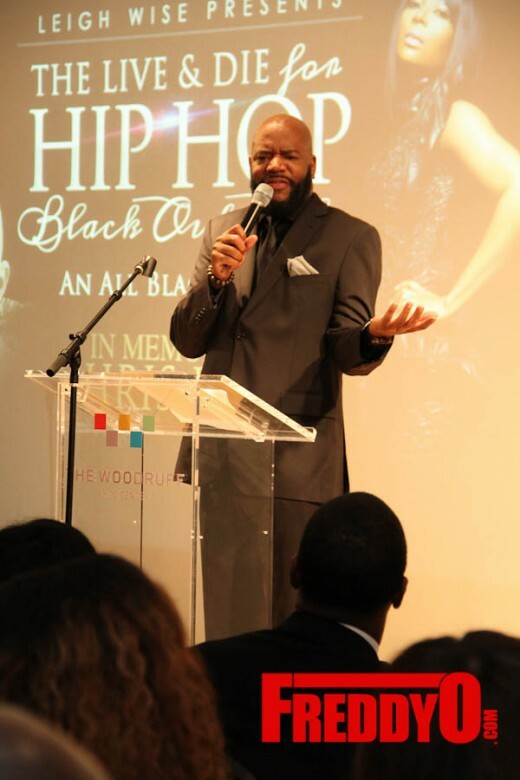 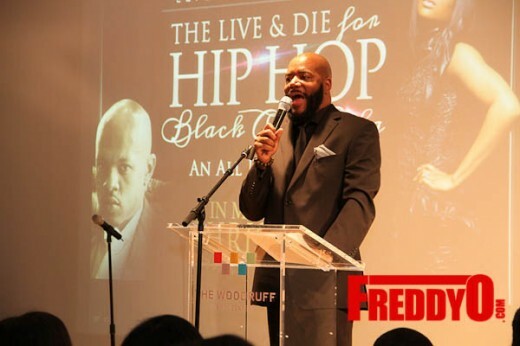 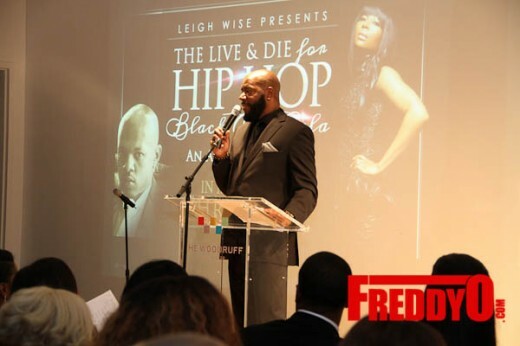 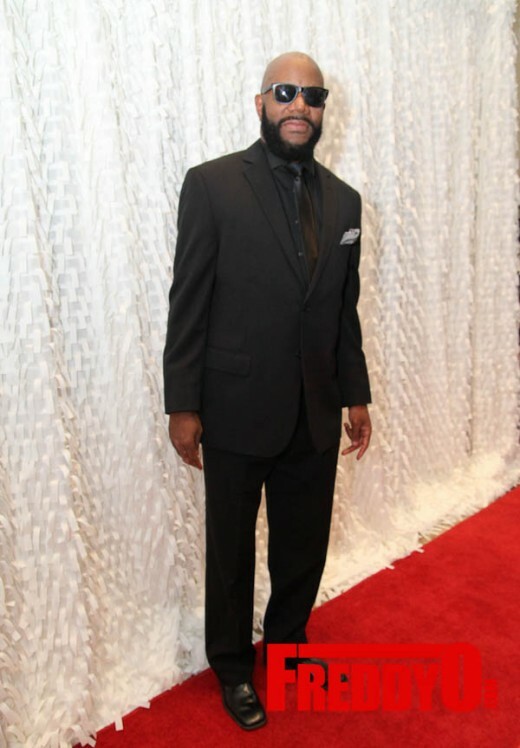 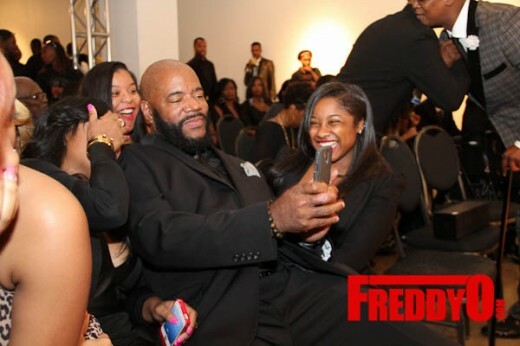 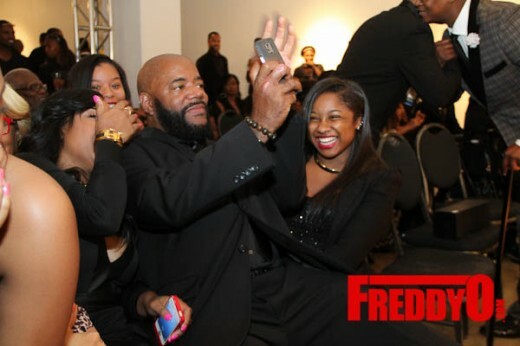 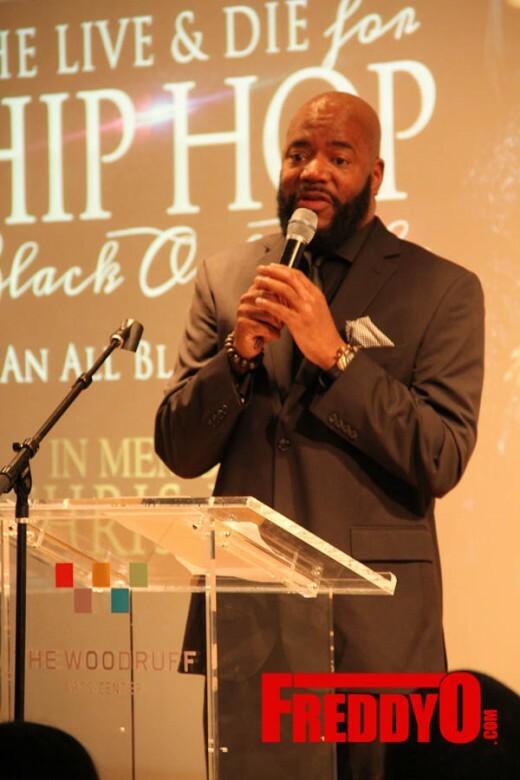 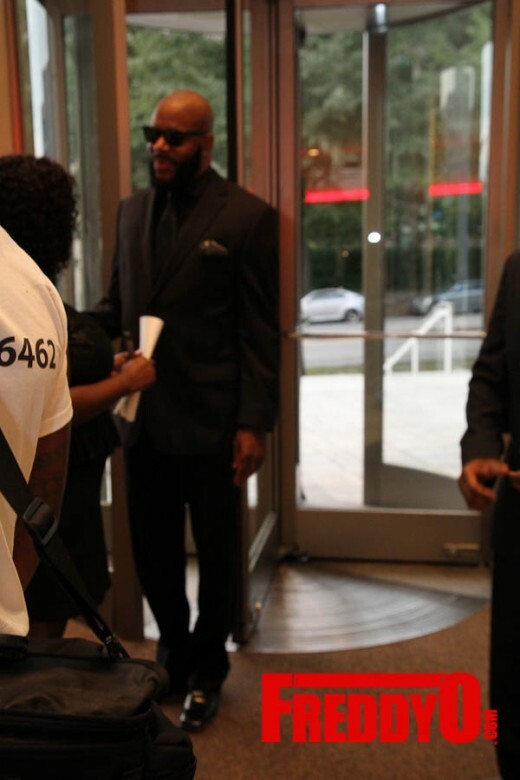 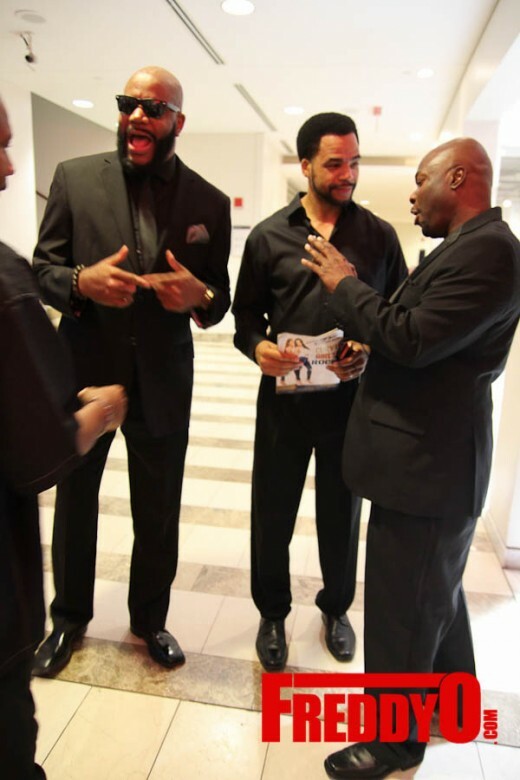 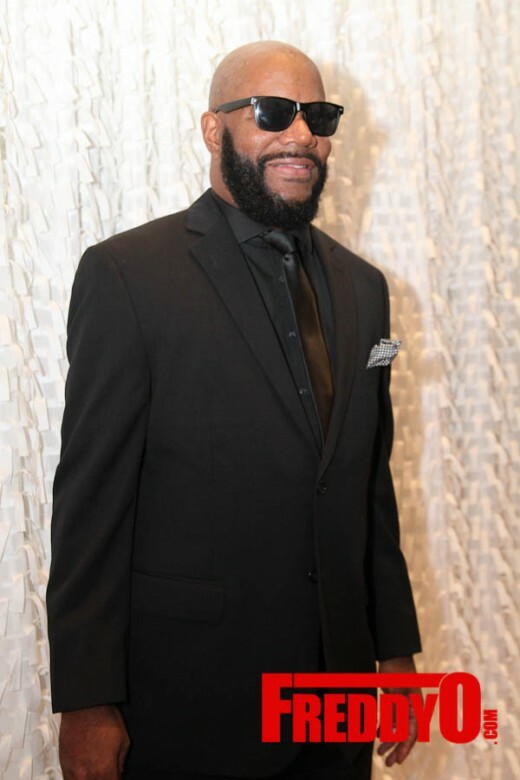 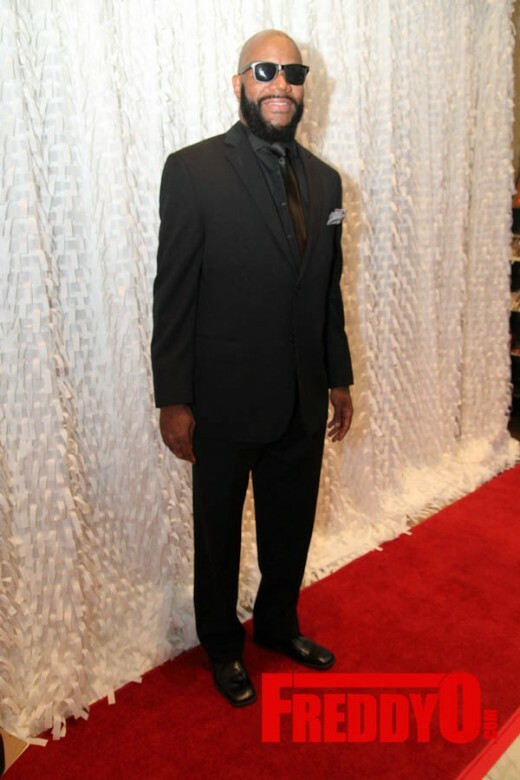 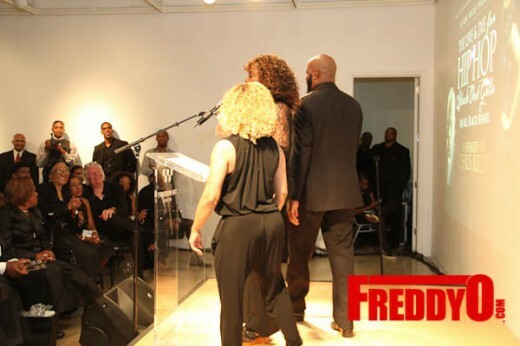 Hip Hop Legend Ed Lover flew down to host the event and had everyone cracking up with his stories and quick wit. 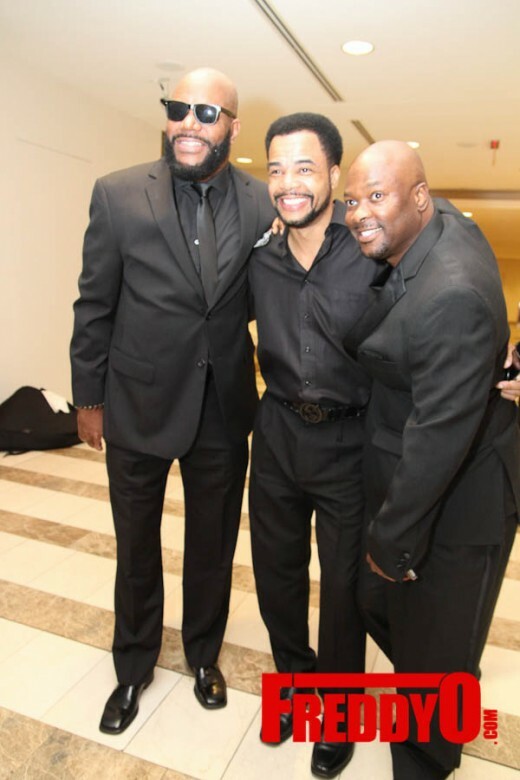 I did not realize that Nabs and Ed Lover worked so closely with Kriss Kross in the early days of their career. 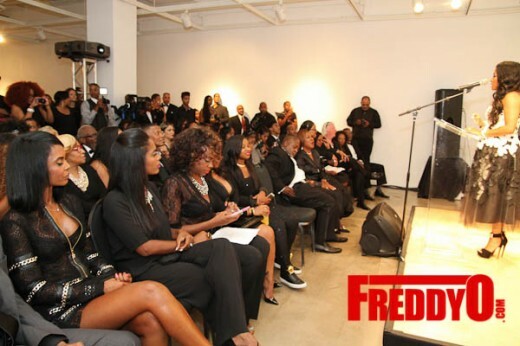 It was nice to travel down memory lane with them through their stories and music. 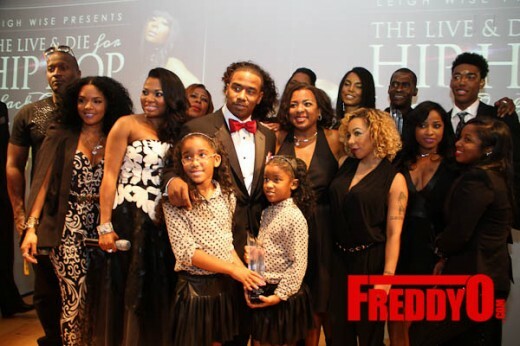 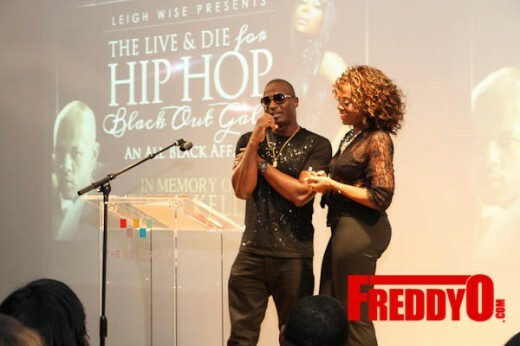 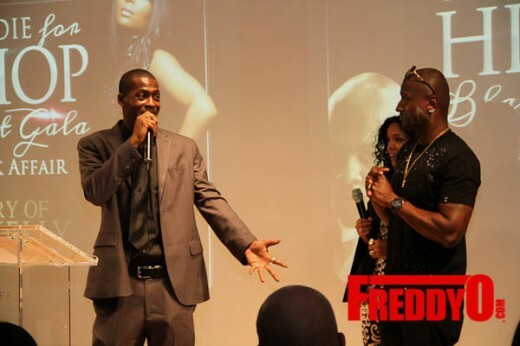 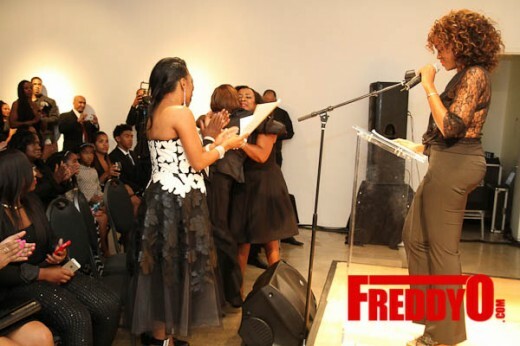 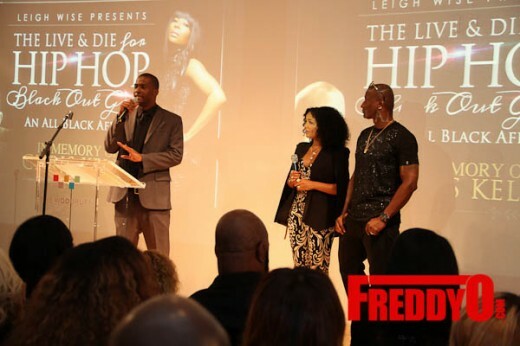 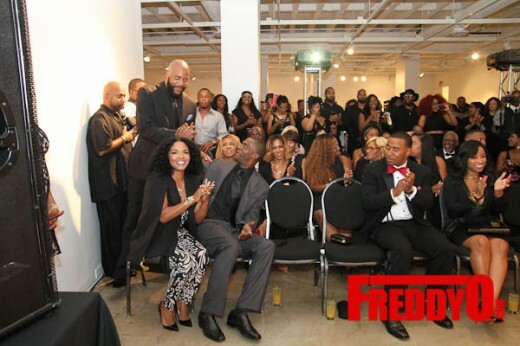 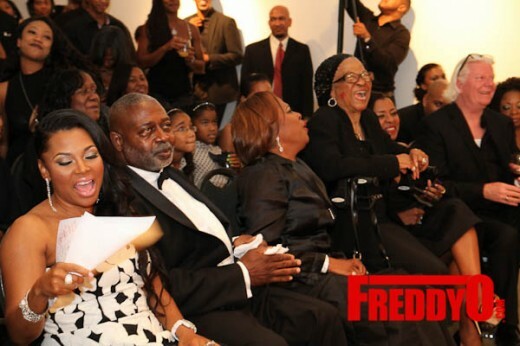 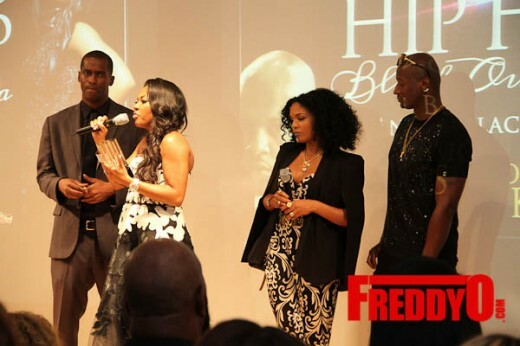 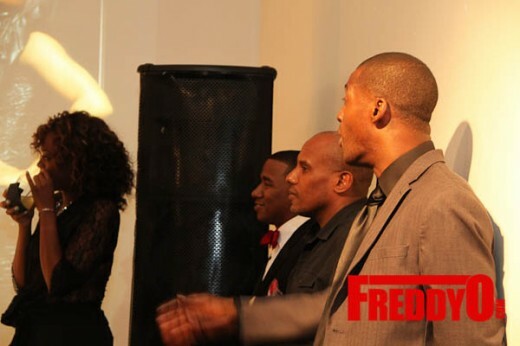 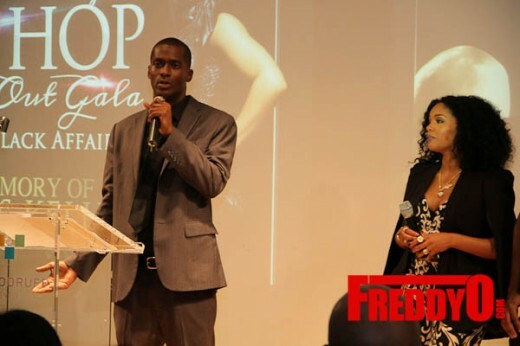 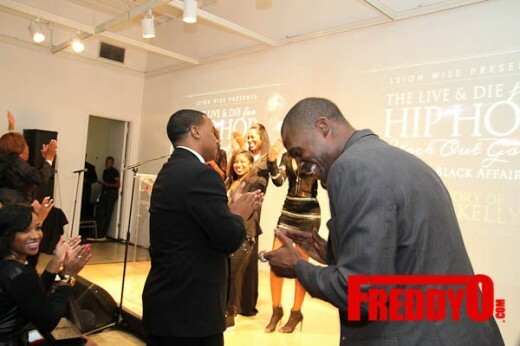 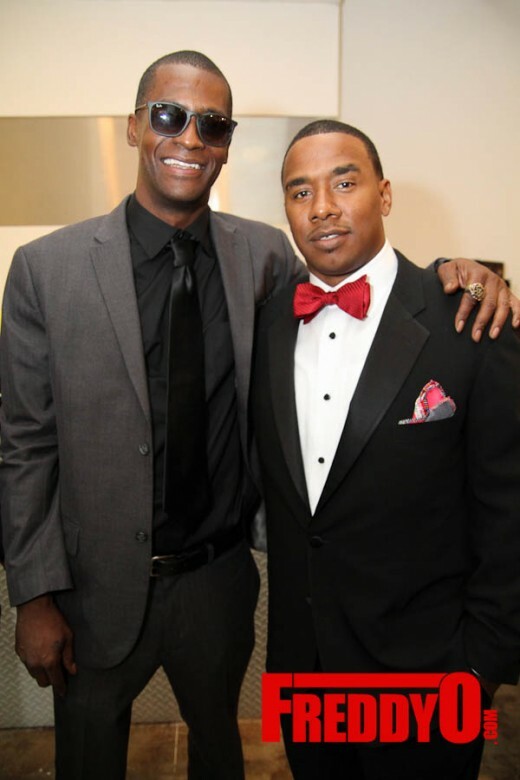 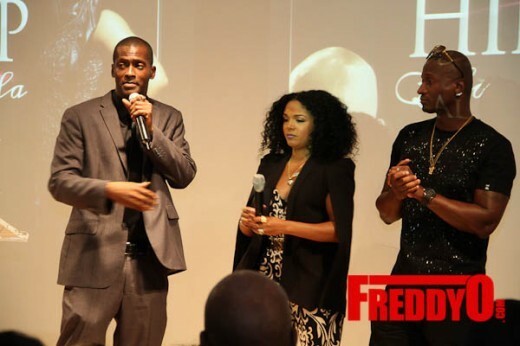 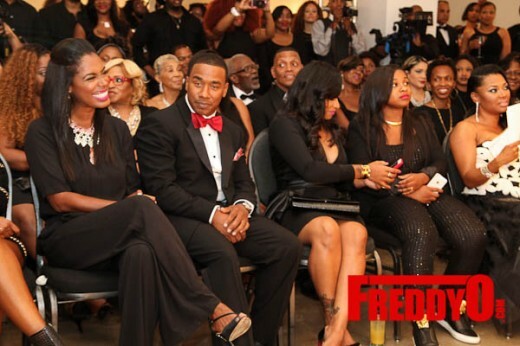 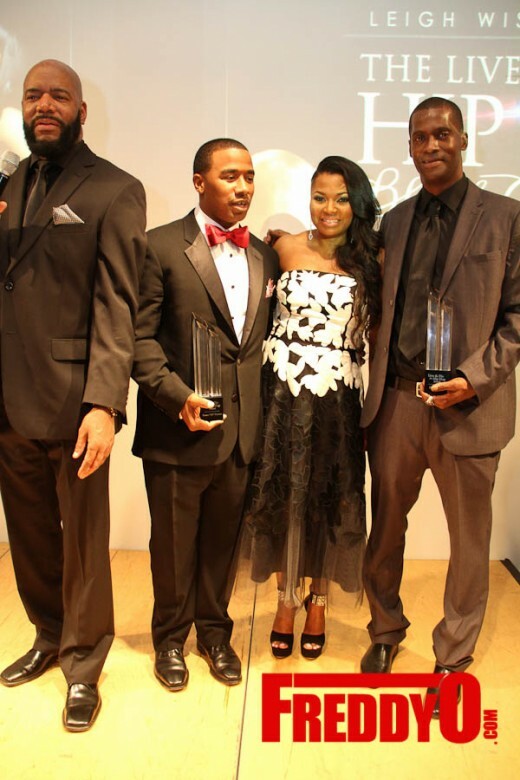 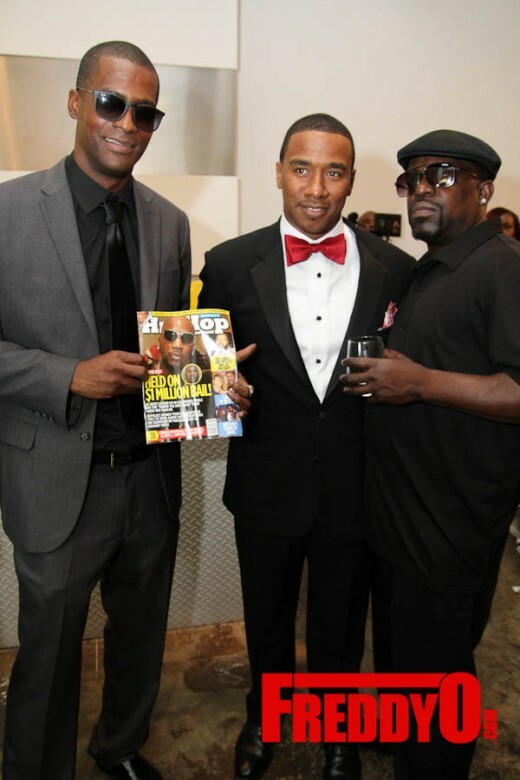 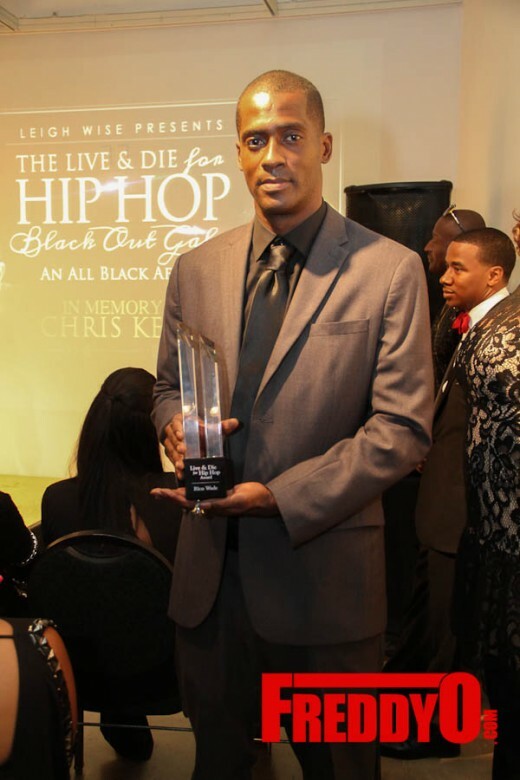 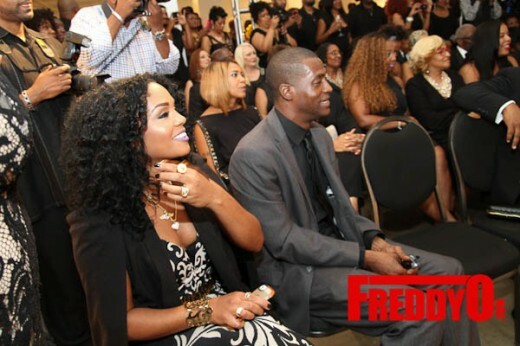 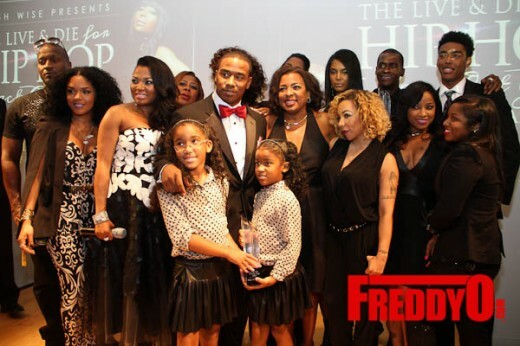 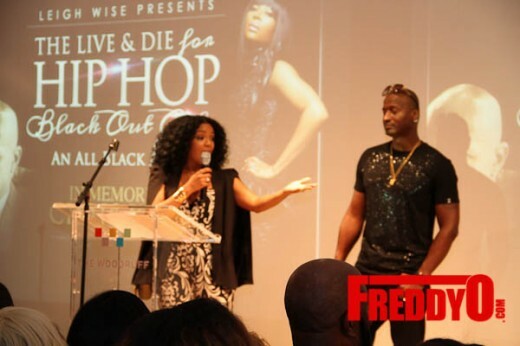 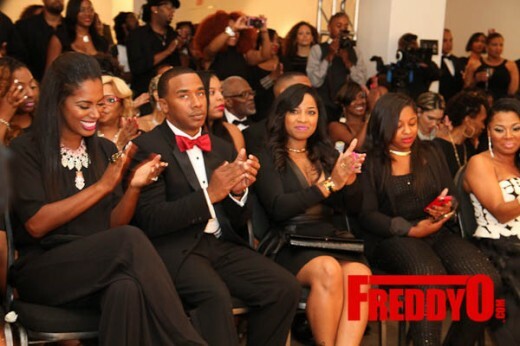 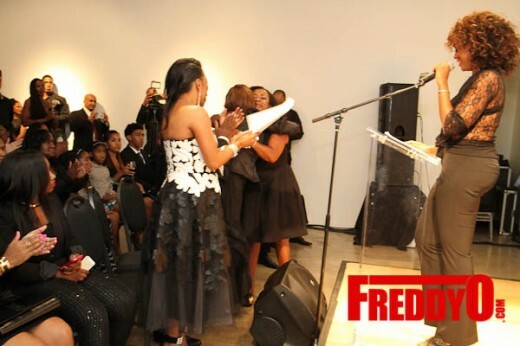 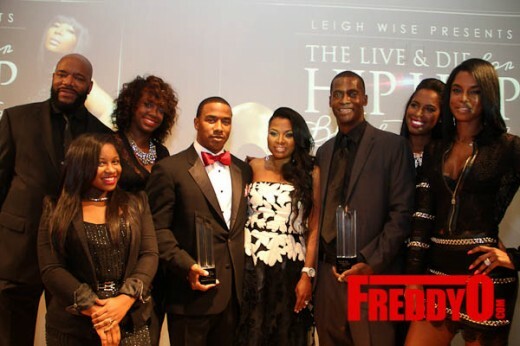 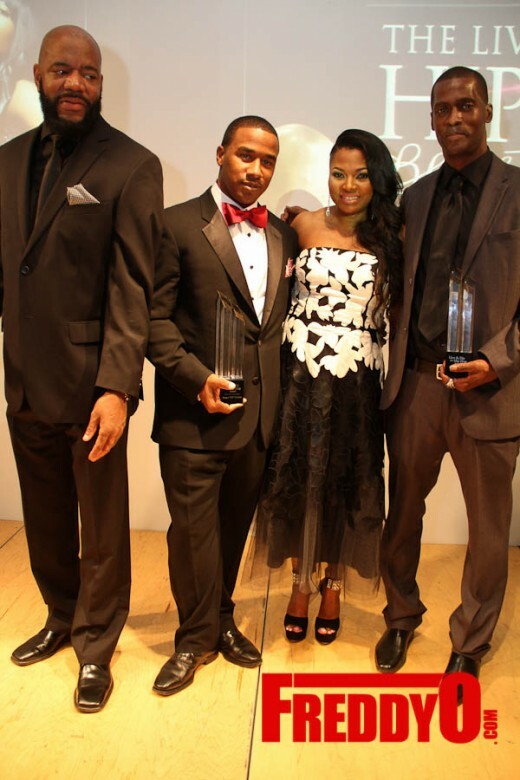 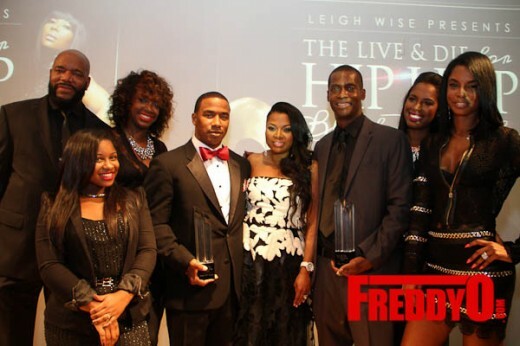 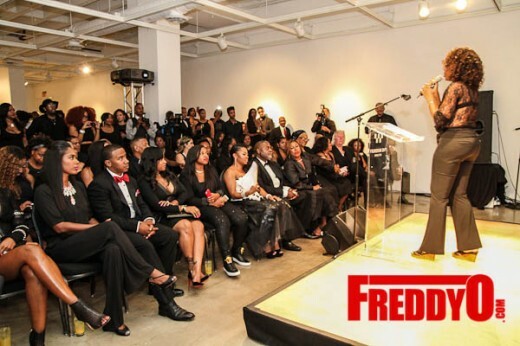 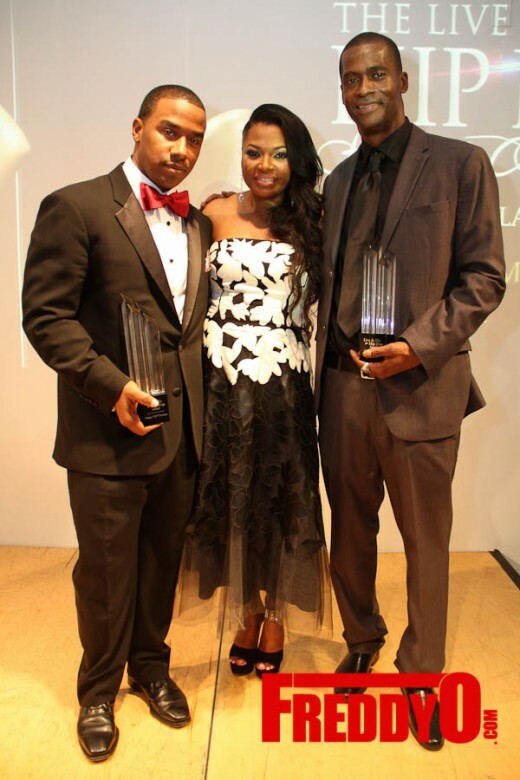 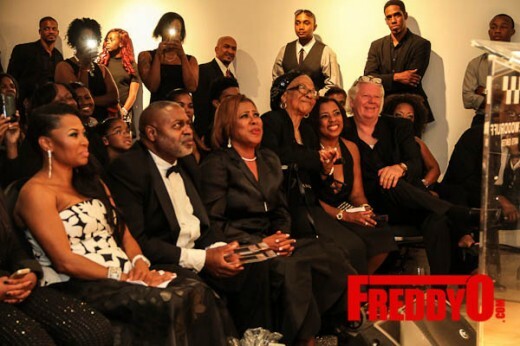 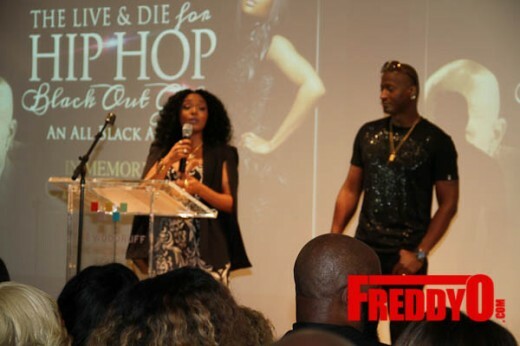 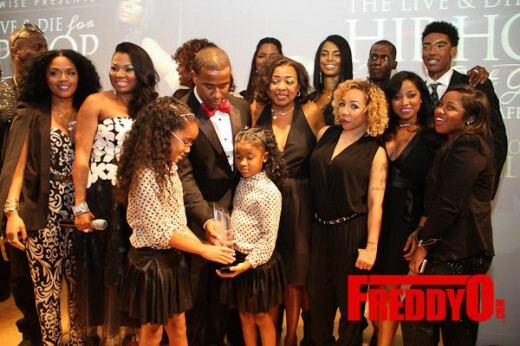 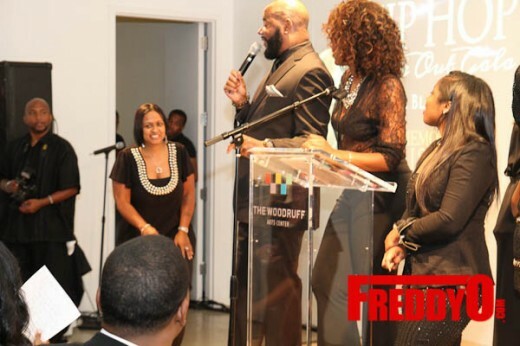 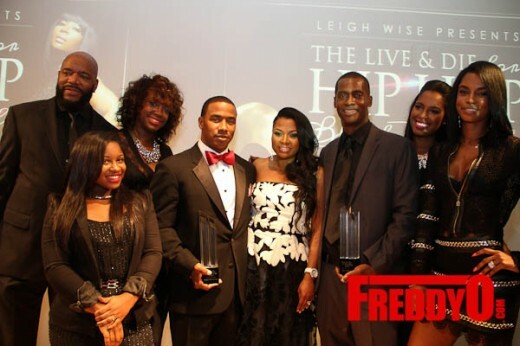 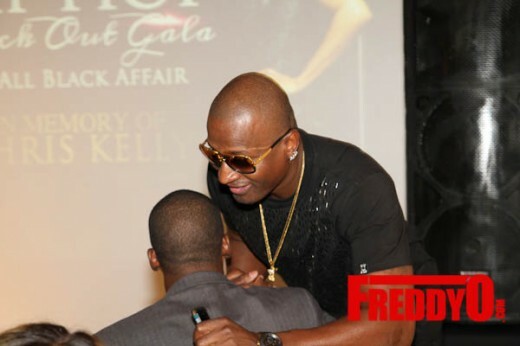 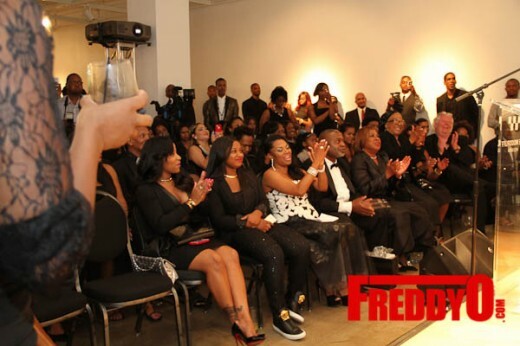 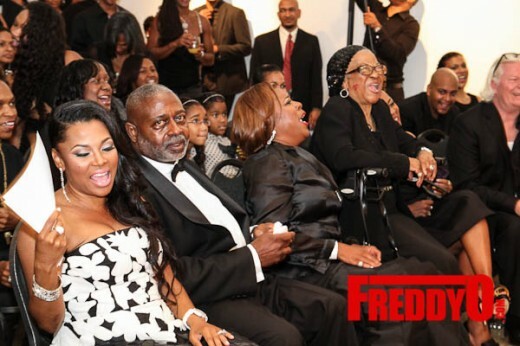 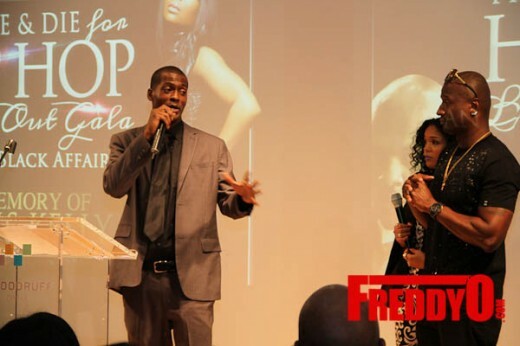 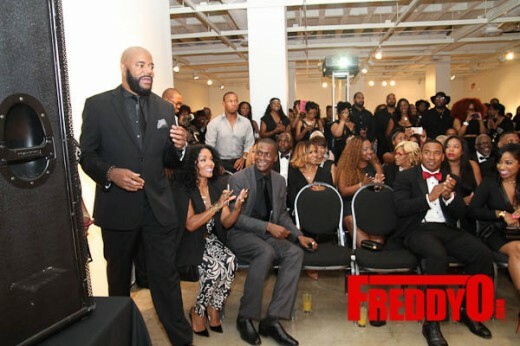 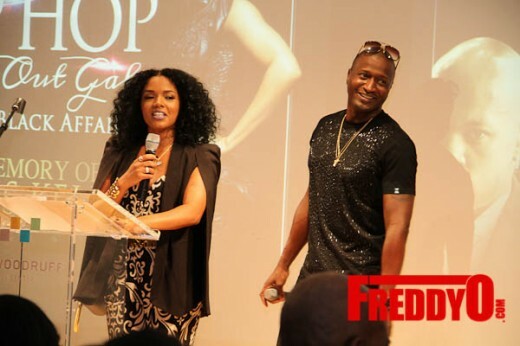 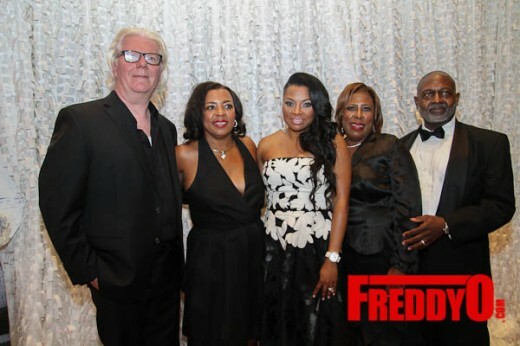 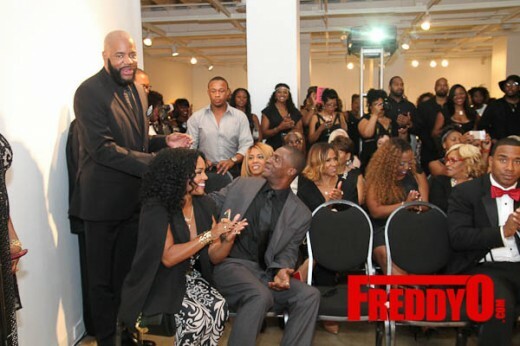 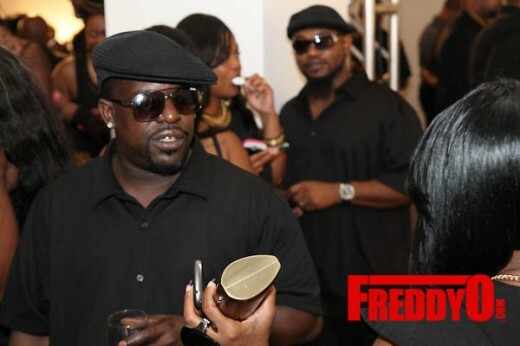 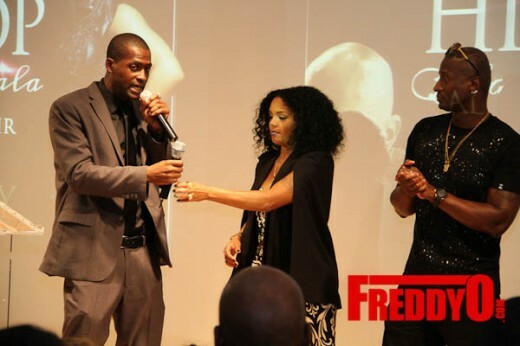 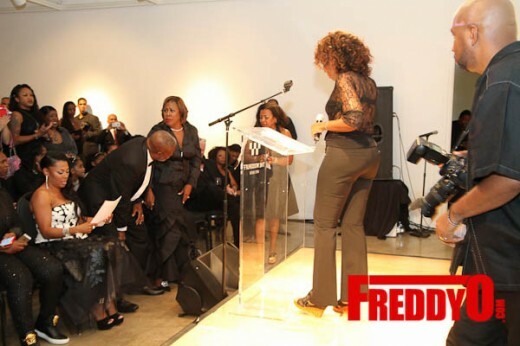 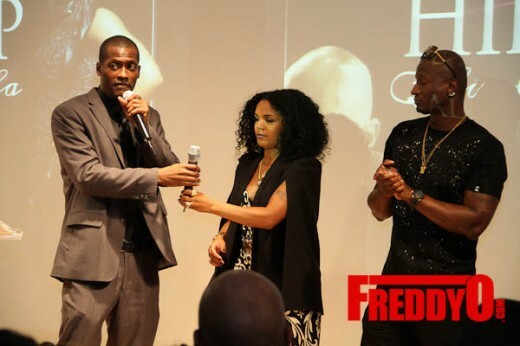 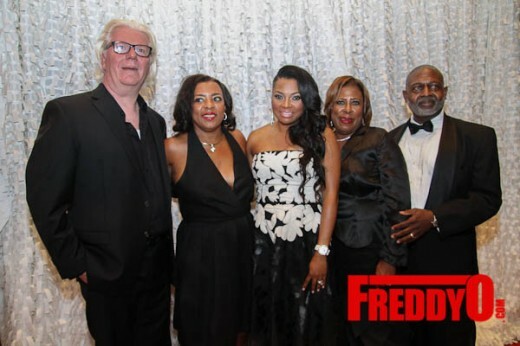 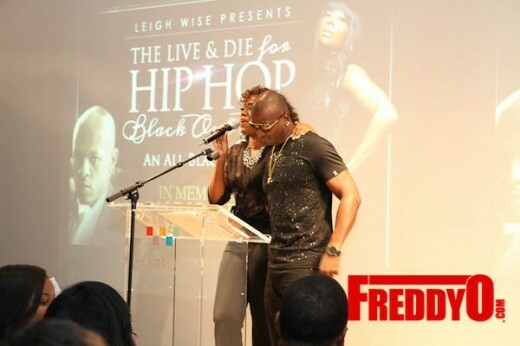 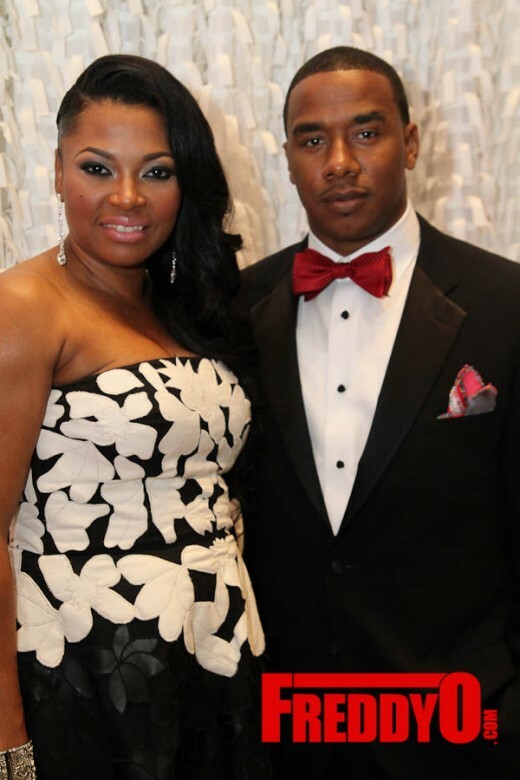 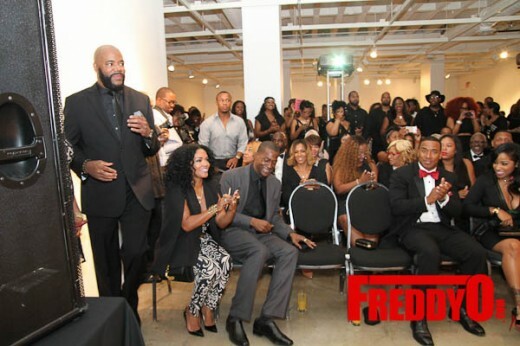 Rasheeda and Kirk Frost presented the founder of Organized Noize, Rico Wade with an award of achievement at the packed out gala. 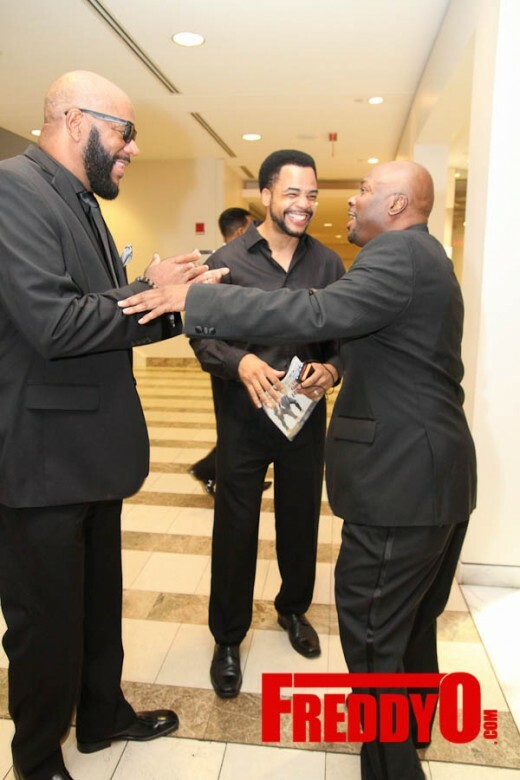 They shared humorous stories of Chris Kelly and how everyone knew everyone on the Atlanta music scene. 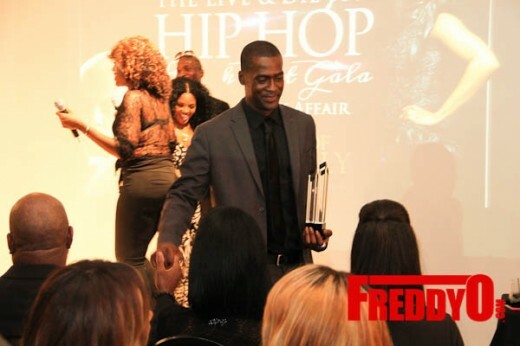 Rico Wade graciously accepted the award. 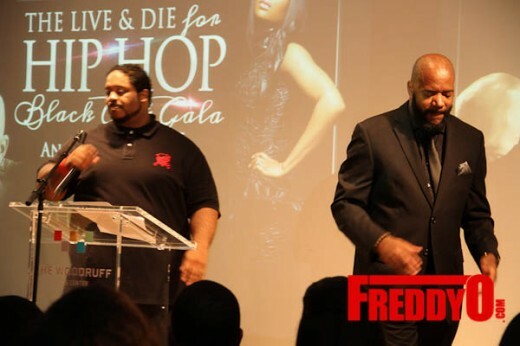 He said that “Kriss Kross” open doors for Atlanta. 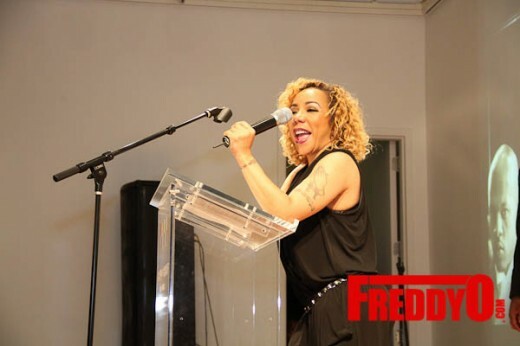 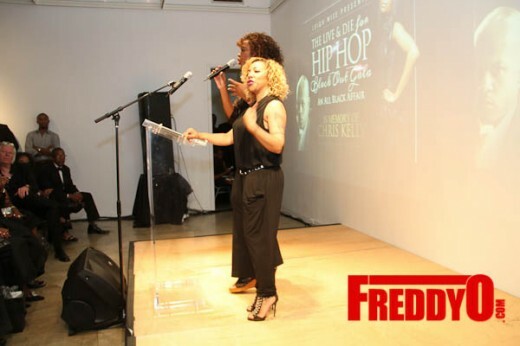 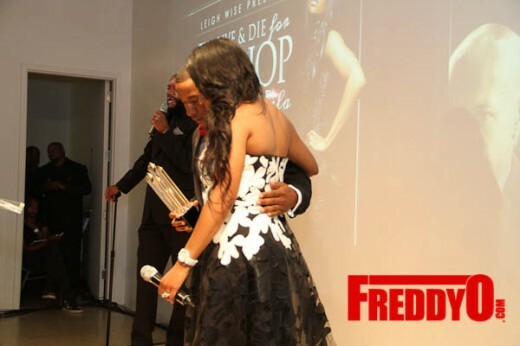 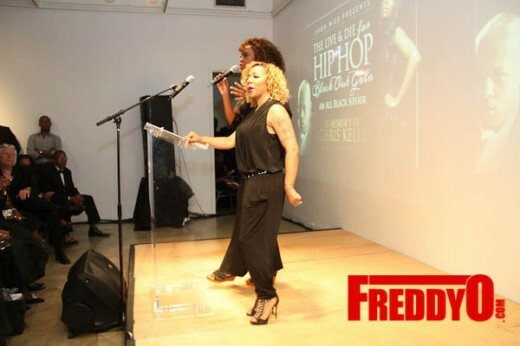 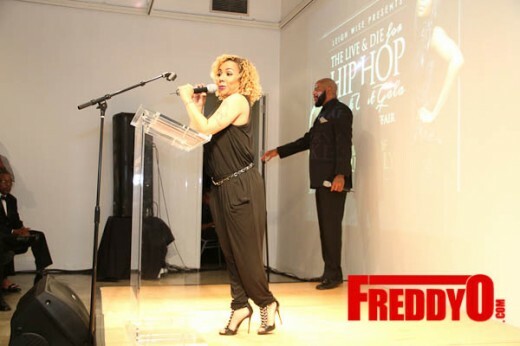 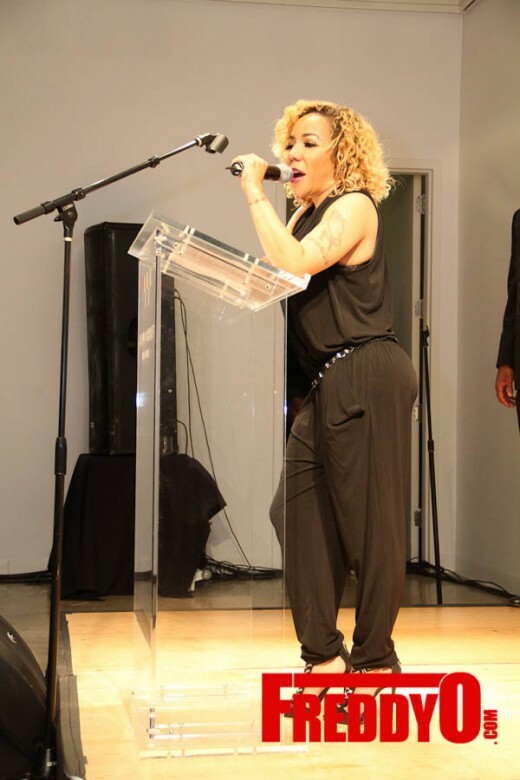 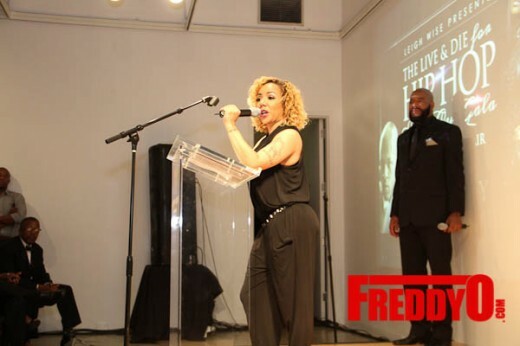 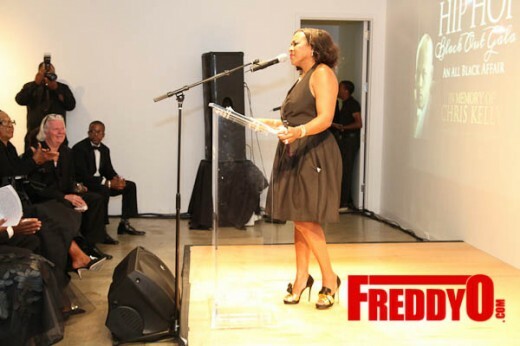 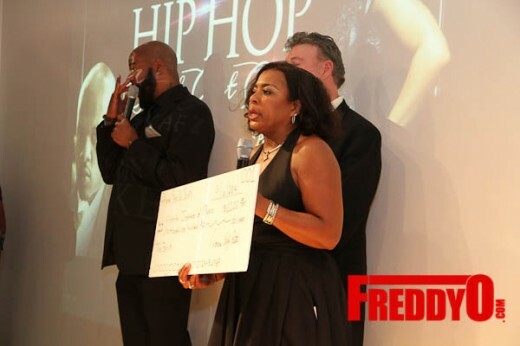 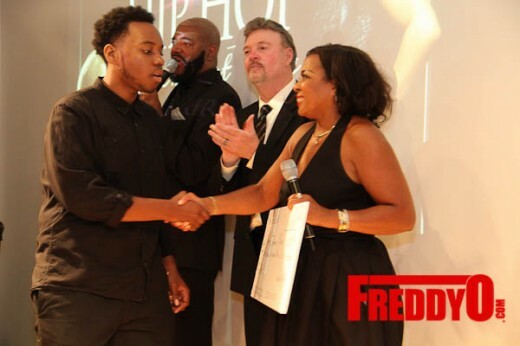 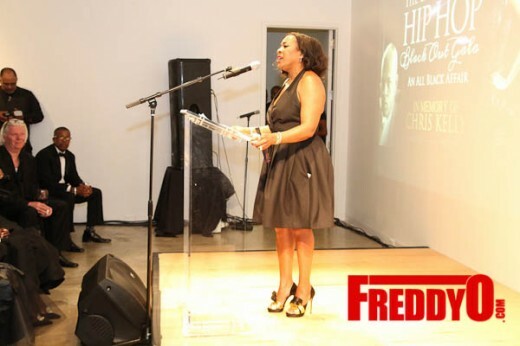 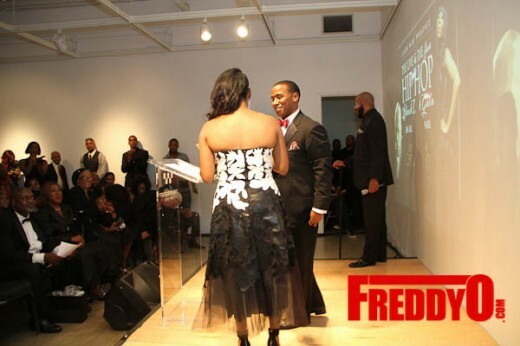 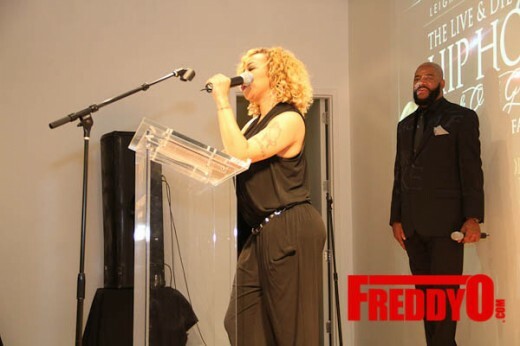 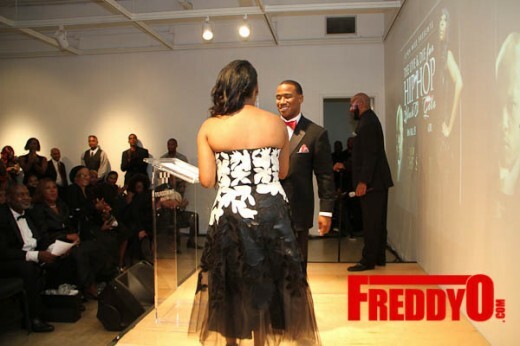 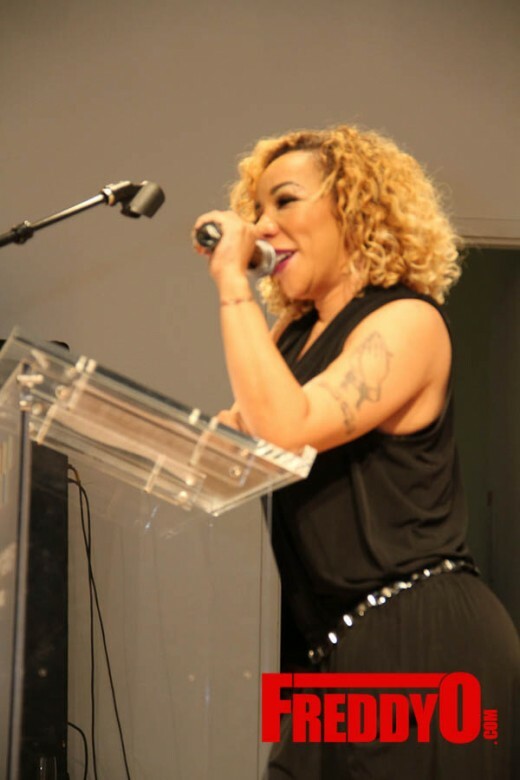 Tiny Harris was presented Vice President of Atlantic Records and former A&R for LaFace Records Kawan “KP” Prather his award. 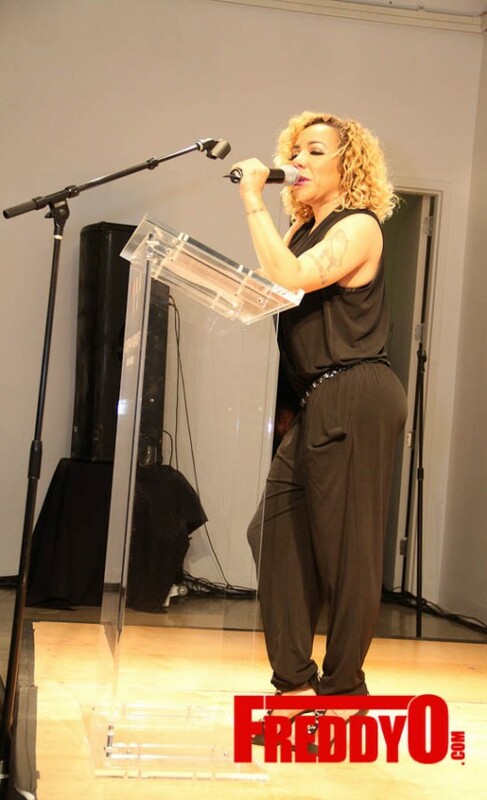 Being apart of So So Def she had so many stories about being on tour with Kriss Kross and how “bad” they would be including throwing water balls at Tupac. 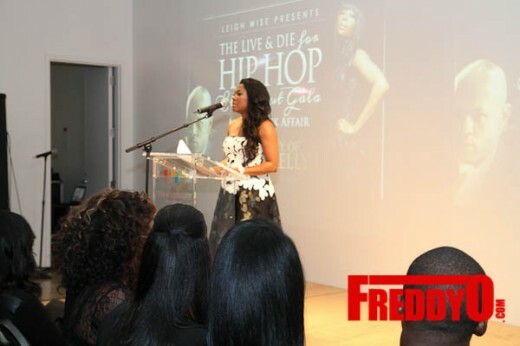 She also thanked KP for introducing her to T.I. 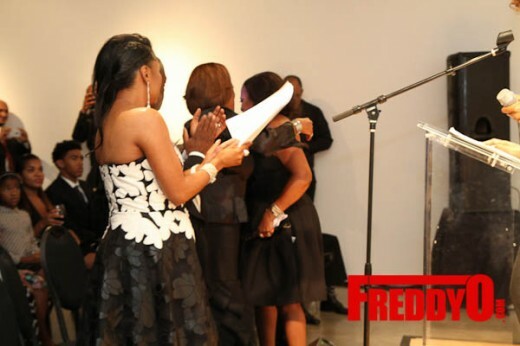 KP surrounded by mother and children thanked the committee for giving him the award. 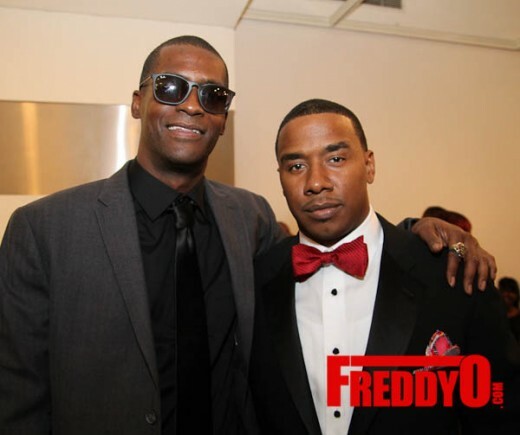 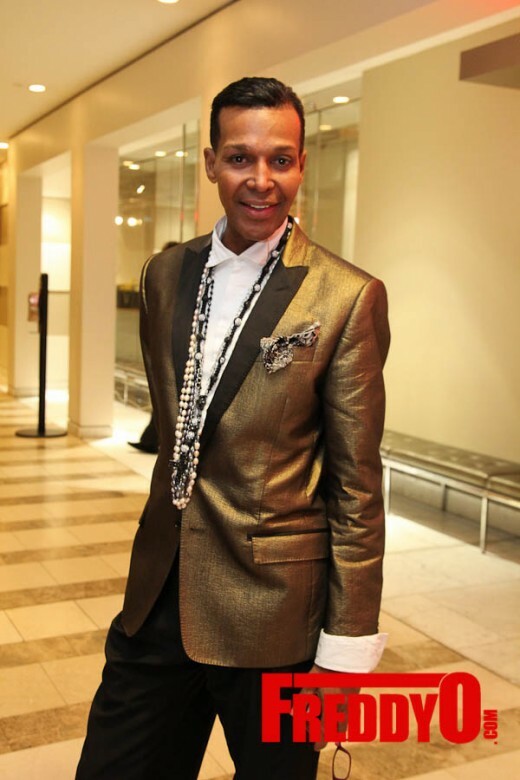 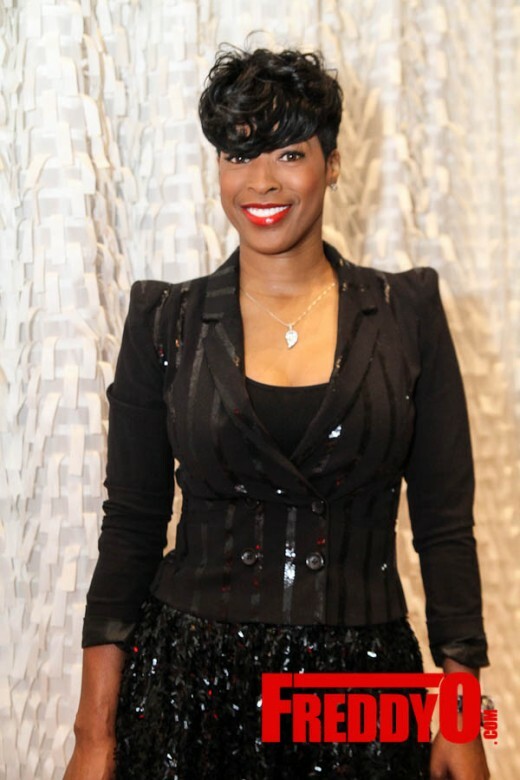 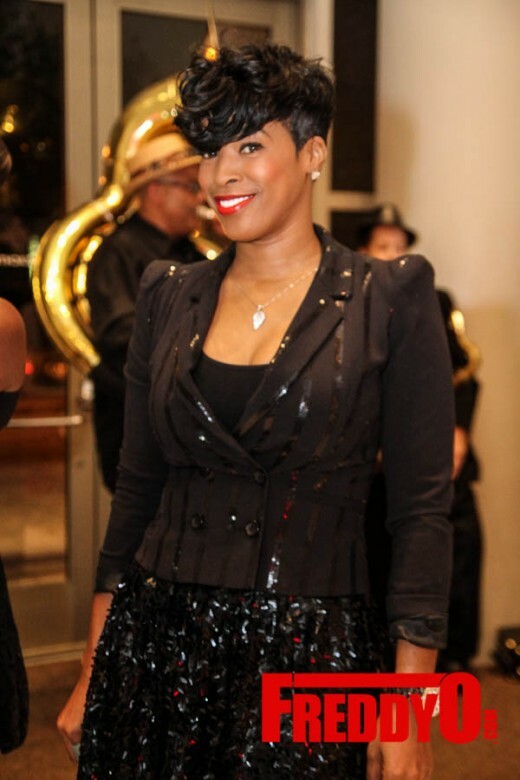 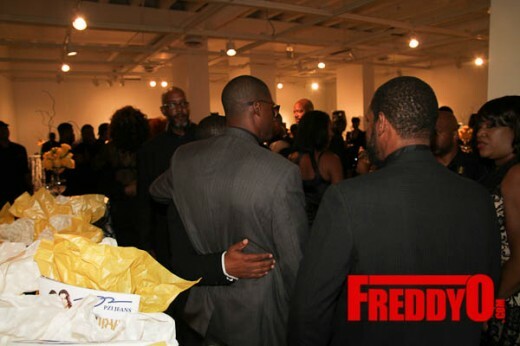 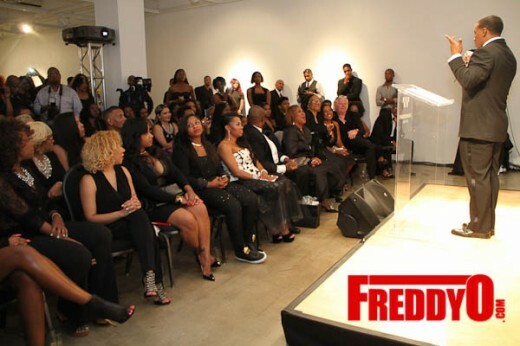 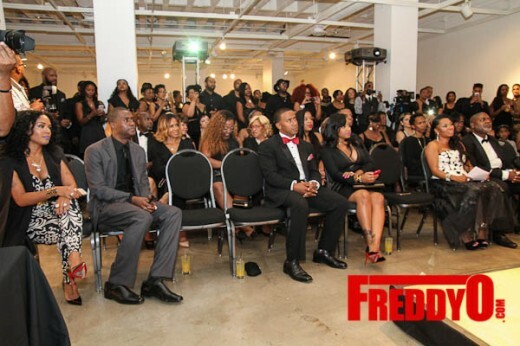 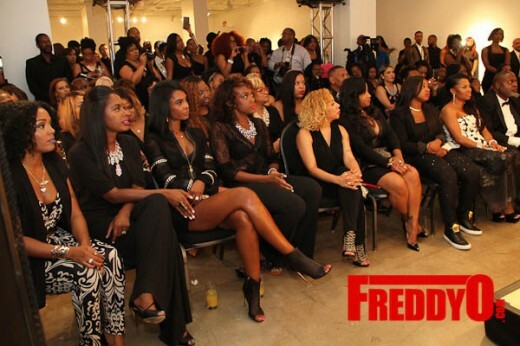 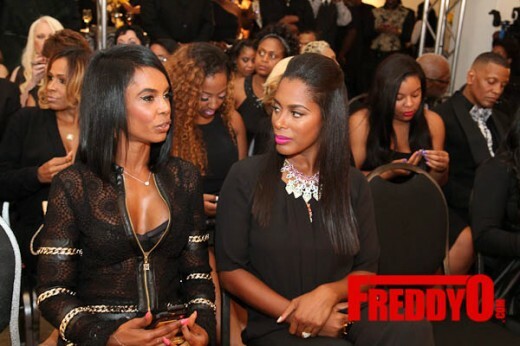 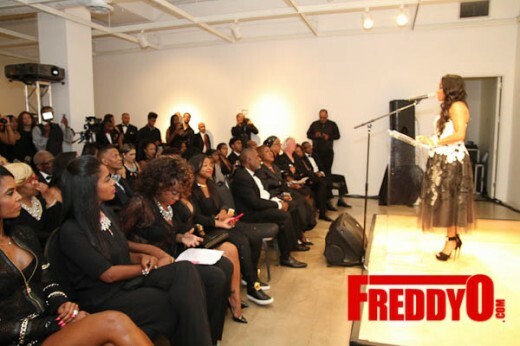 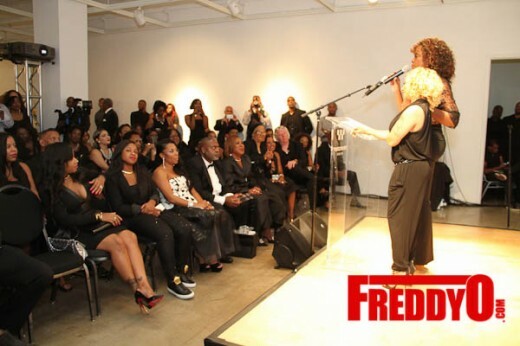 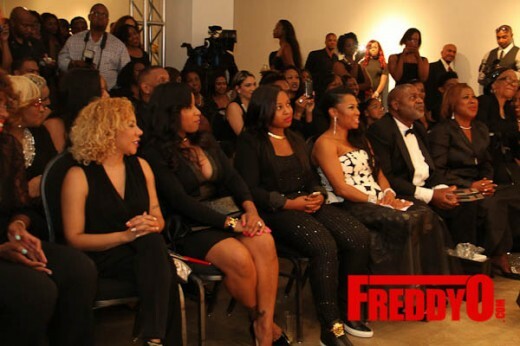 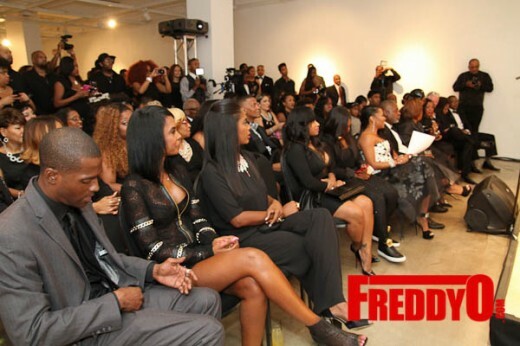 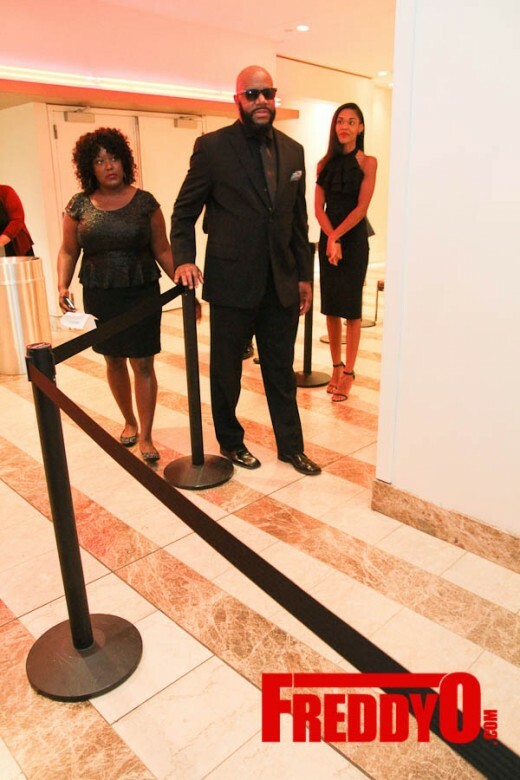 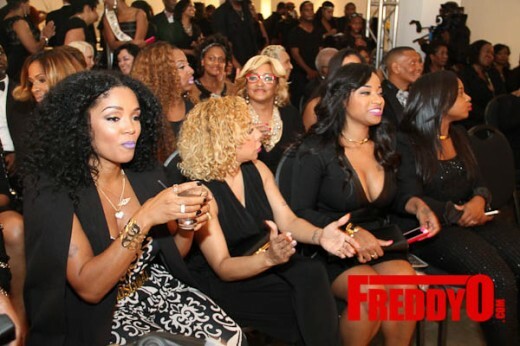 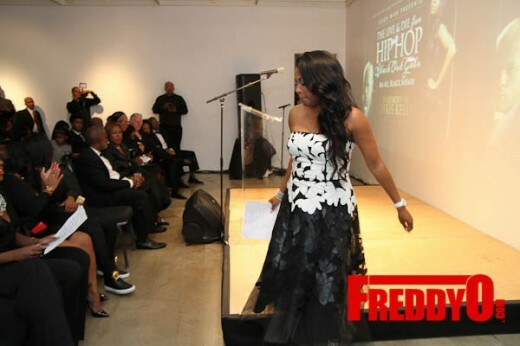 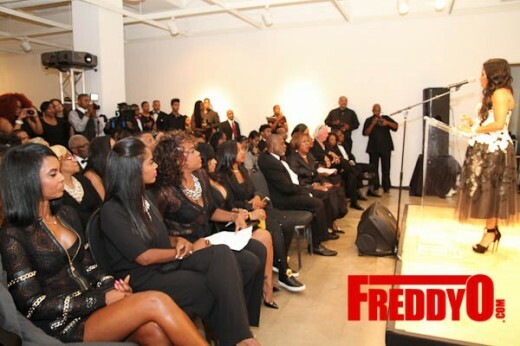 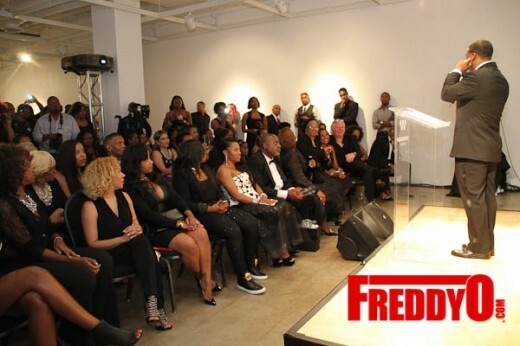 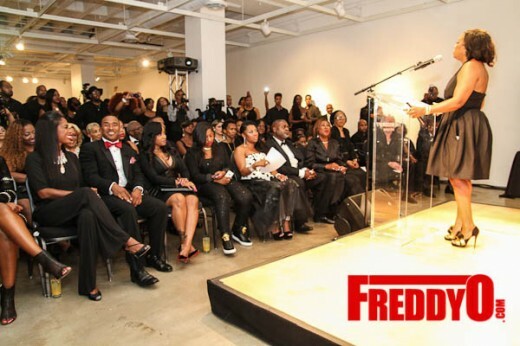 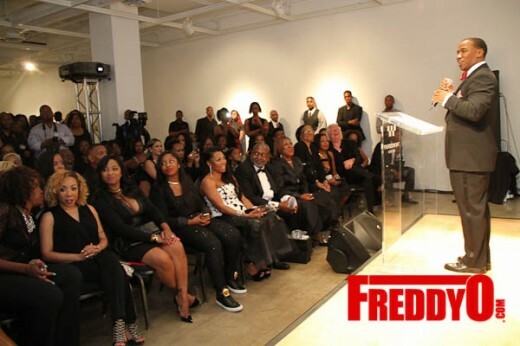 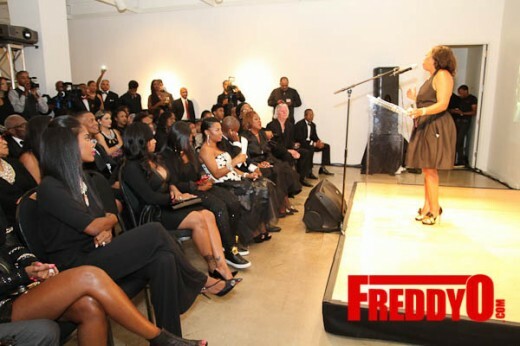 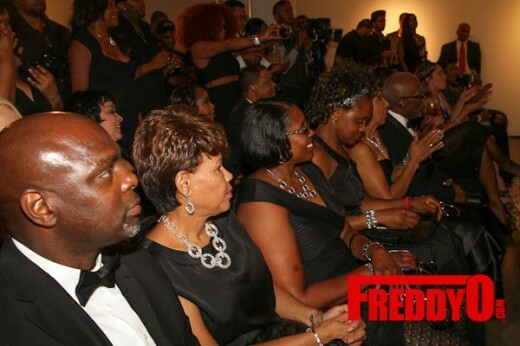 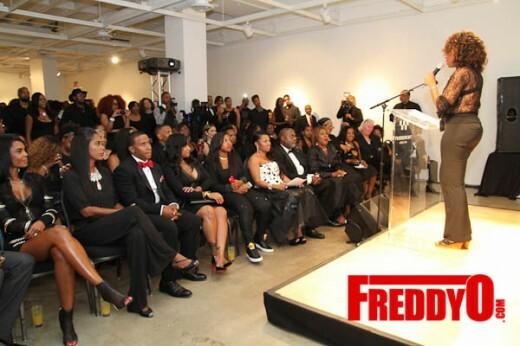 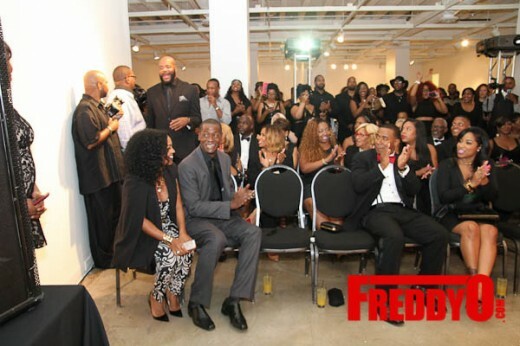 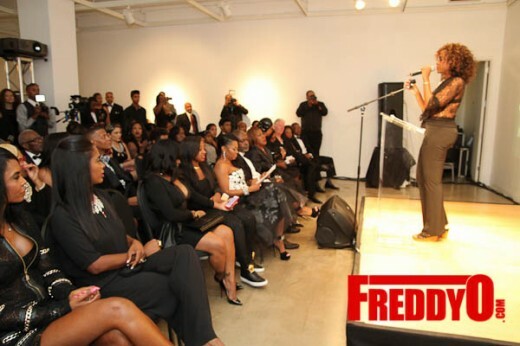 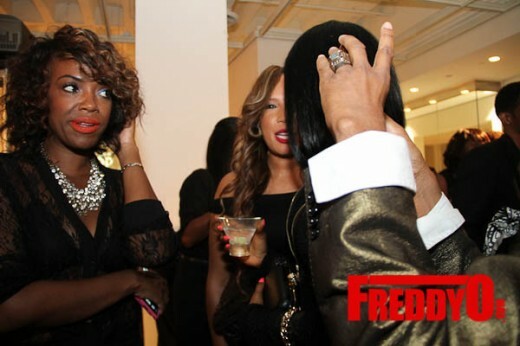 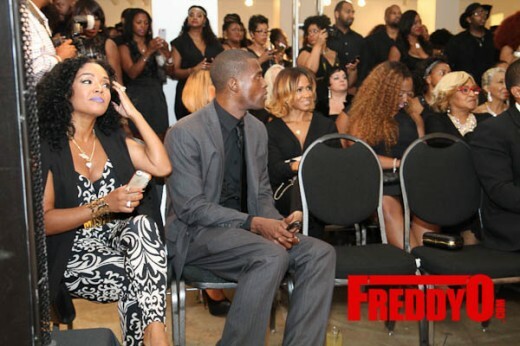 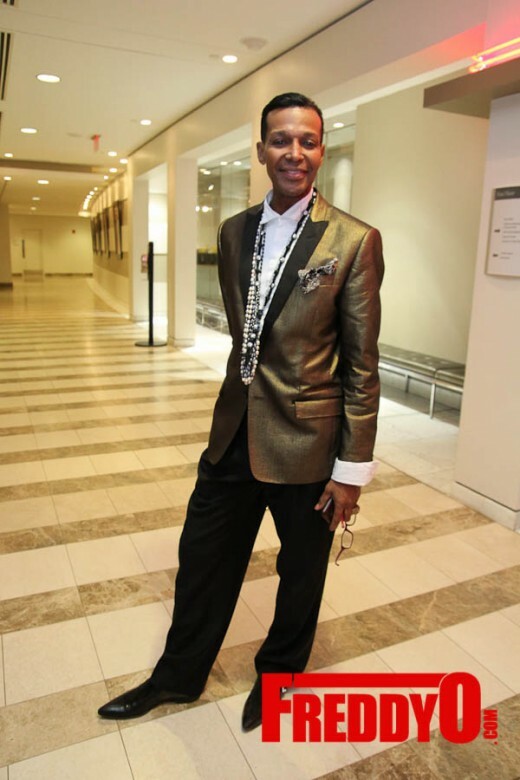 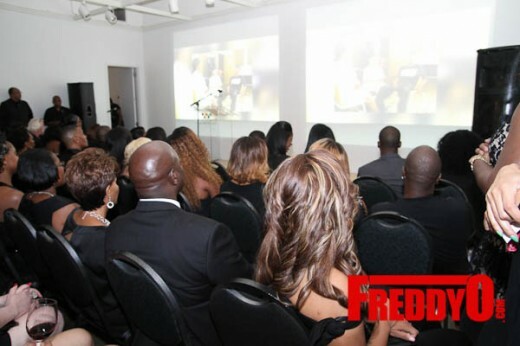 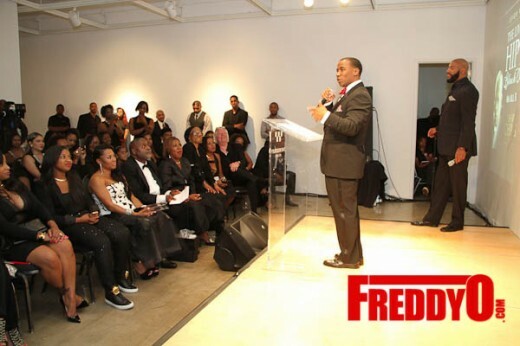 The event had lots of celebrity guests including Sheree Whitfiled, Dwight Eubanks, Pretty Kenny, Zonnique Pullins, Sheree Buchanan, Ebony Steele, LaToya Wright, Shanti Dias, and many more. 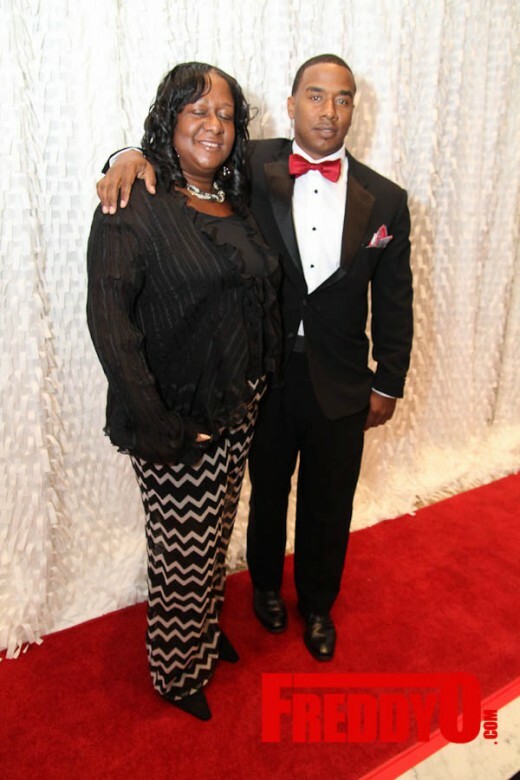 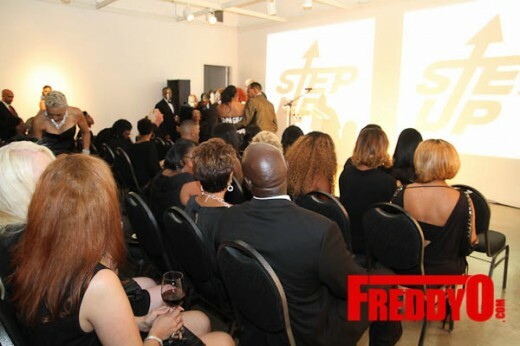 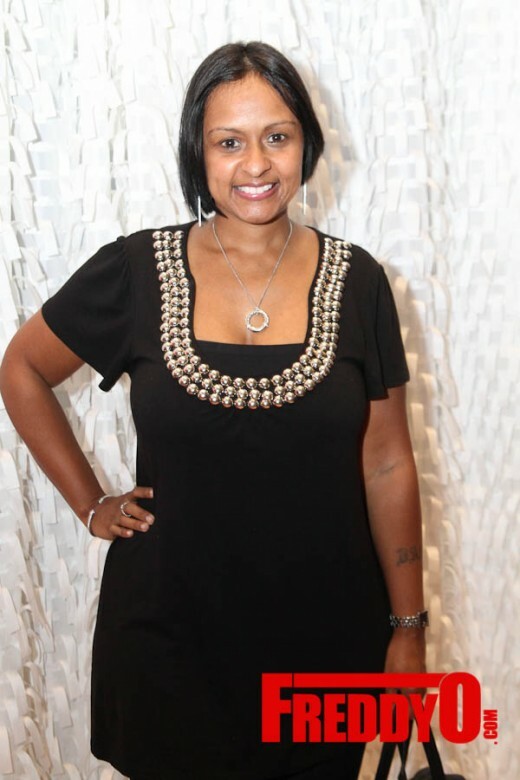 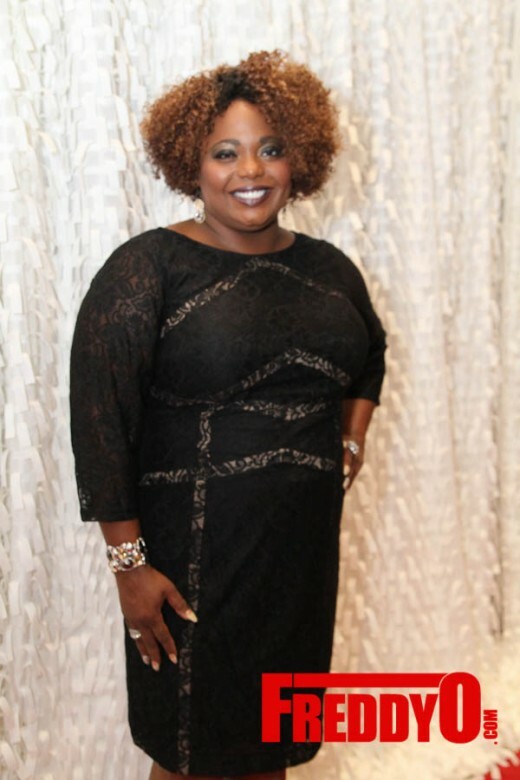 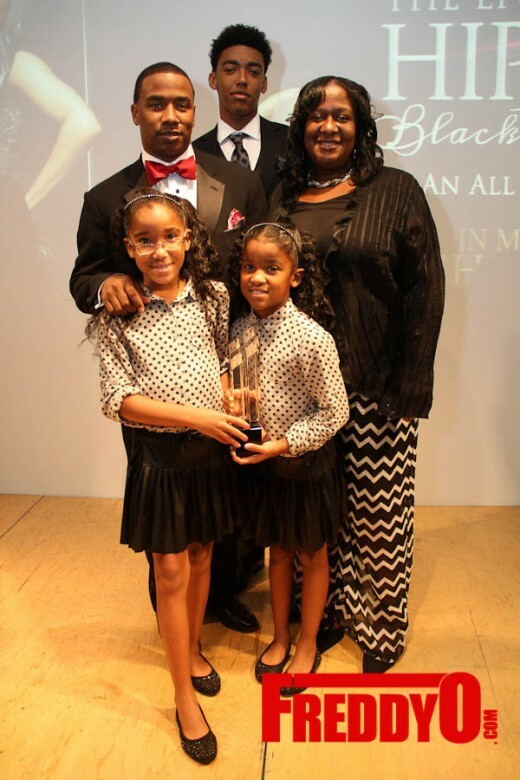 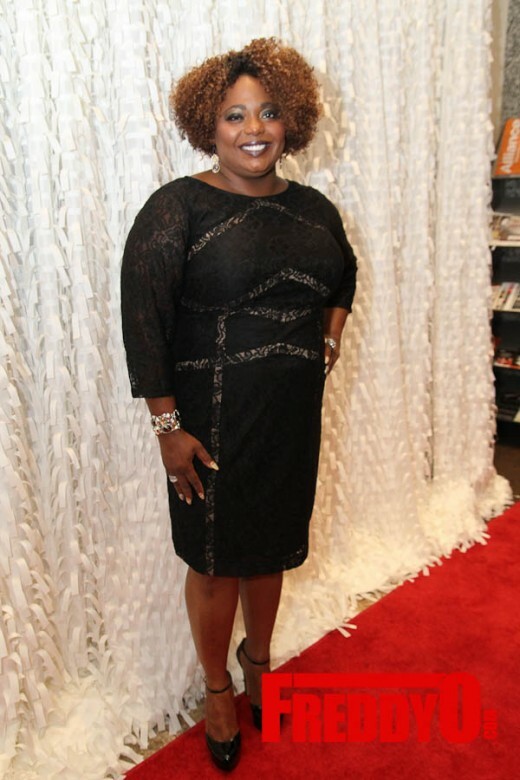 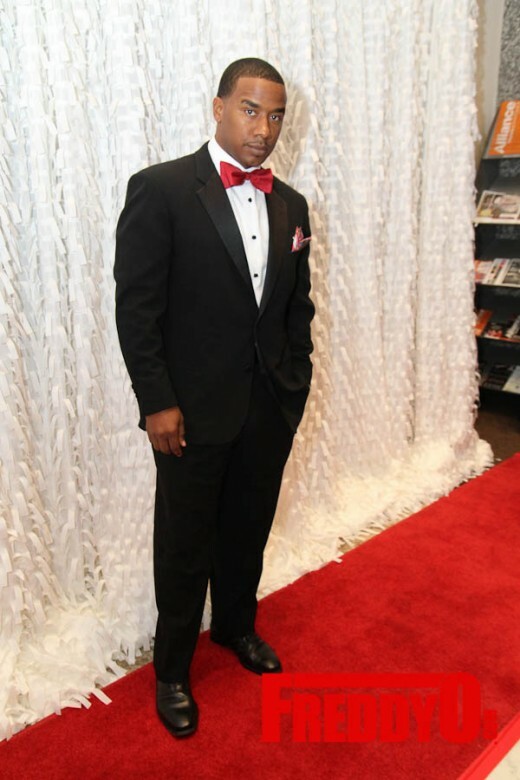 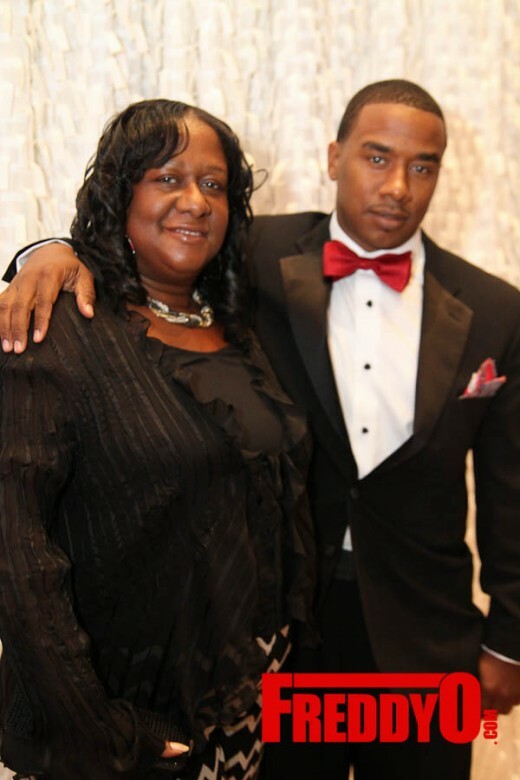 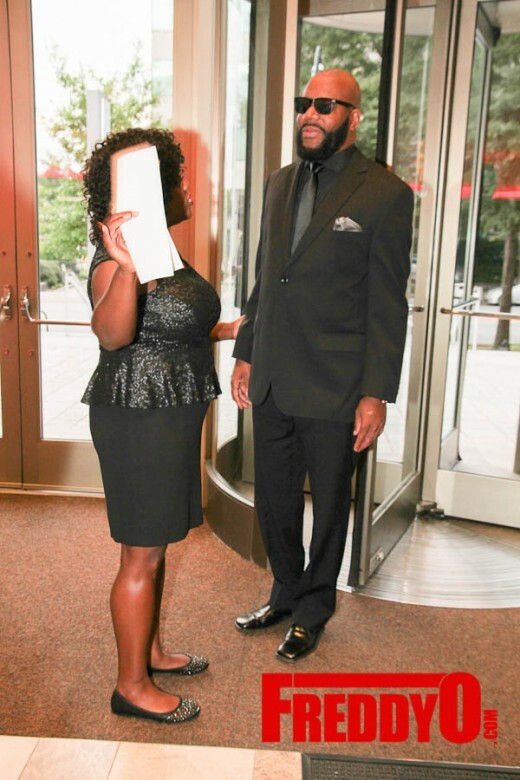 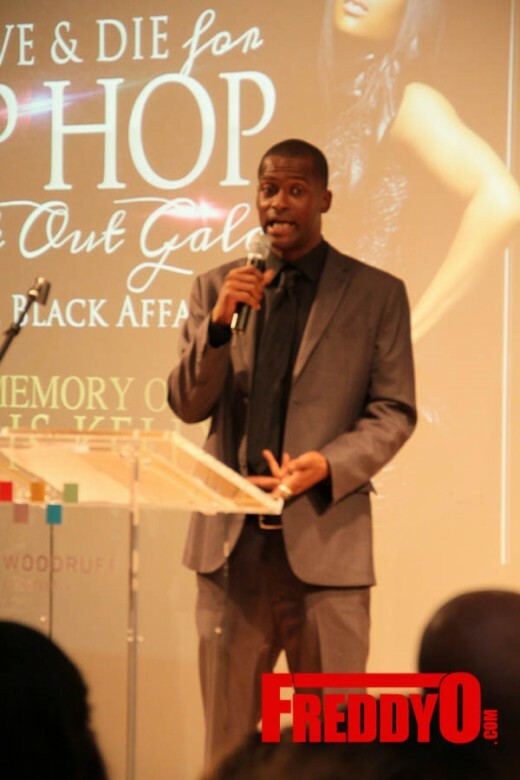 The Black Out Gala was sponsored by The Atlanta Step-Up Society, a non-profit that help individuals battle substance abuse. 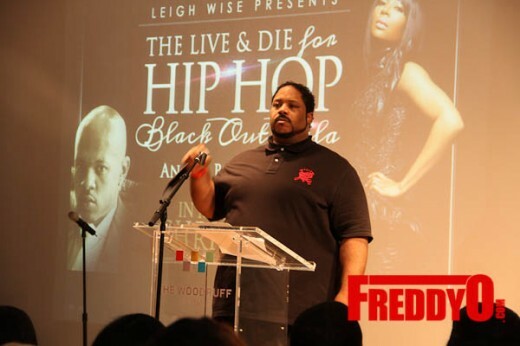 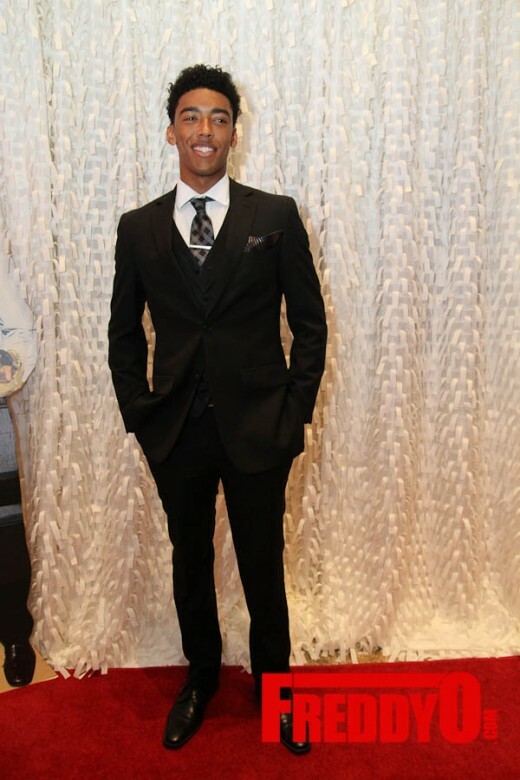 This gala will enable Leigh and esteemed members of the hip-hop community to raise awareness and embrace the struggle of those like Chris Kelly and others who we have lost. 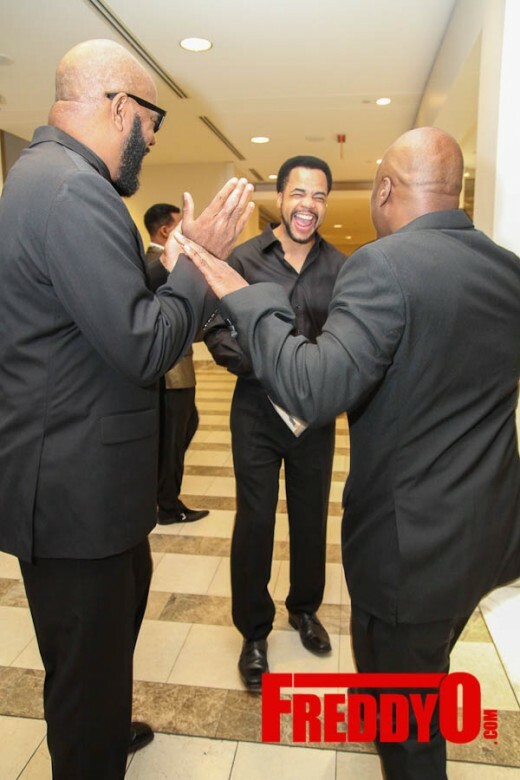 Proceeds from the gala will give to music scholarships for students of the Atlanta Institute of Music and Media, Kelly’s Alma Mater. 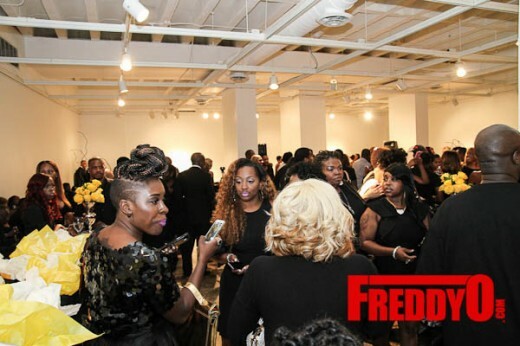 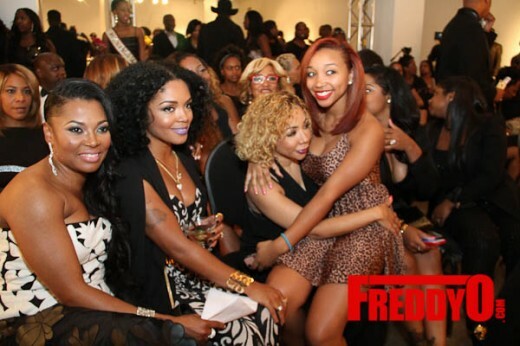 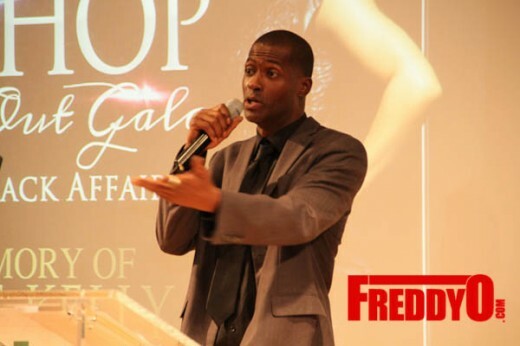 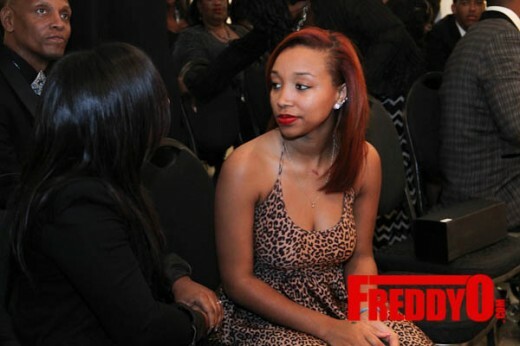 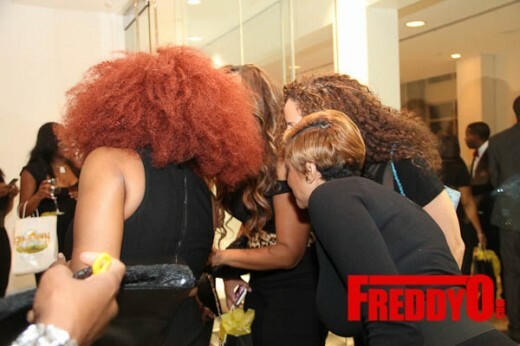 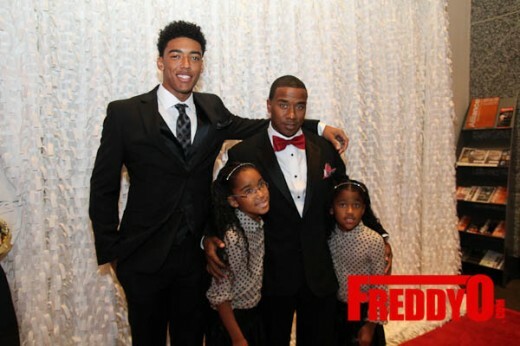 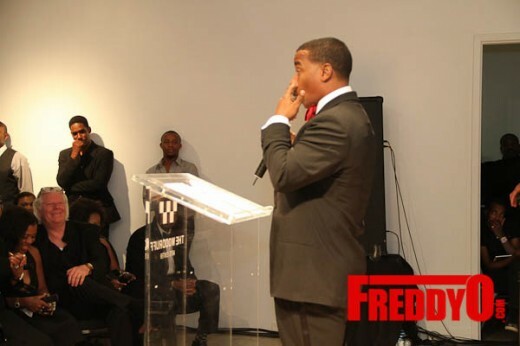 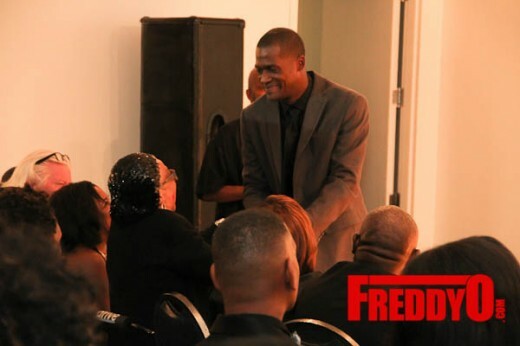 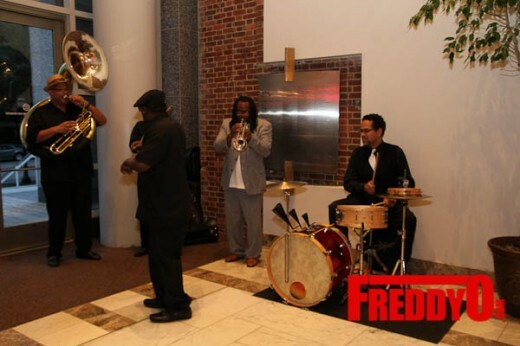 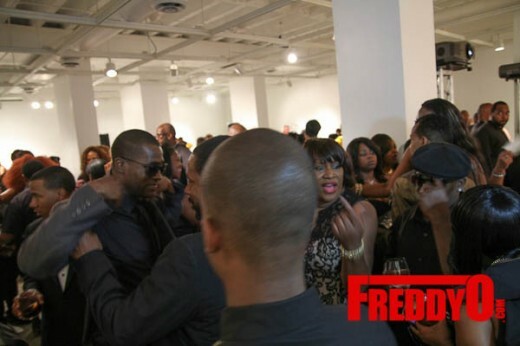 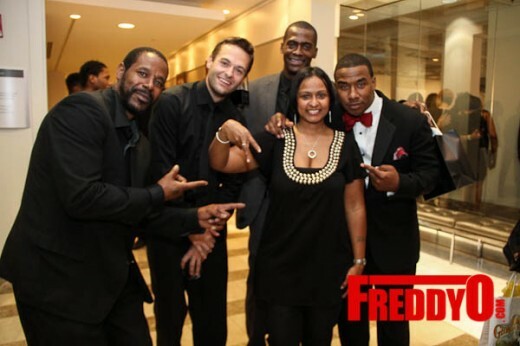 Check out photos by Briana Crudup from the FreddyO team!